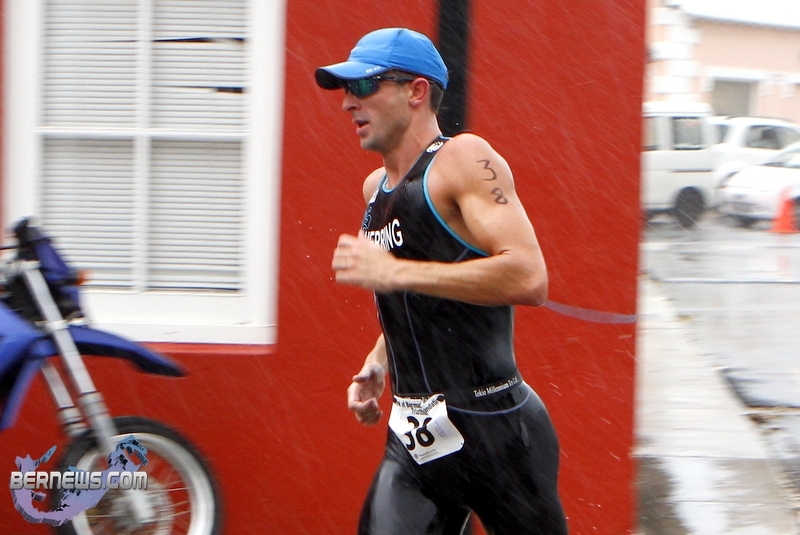 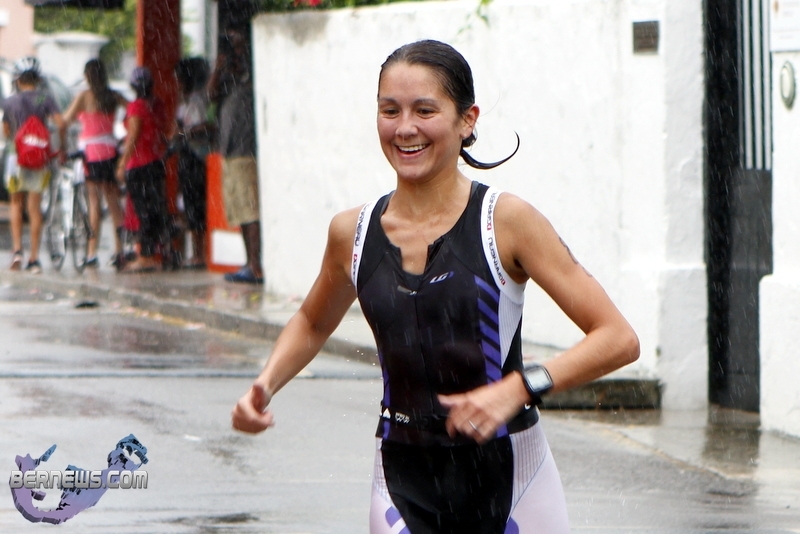 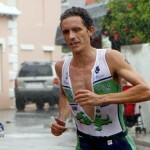 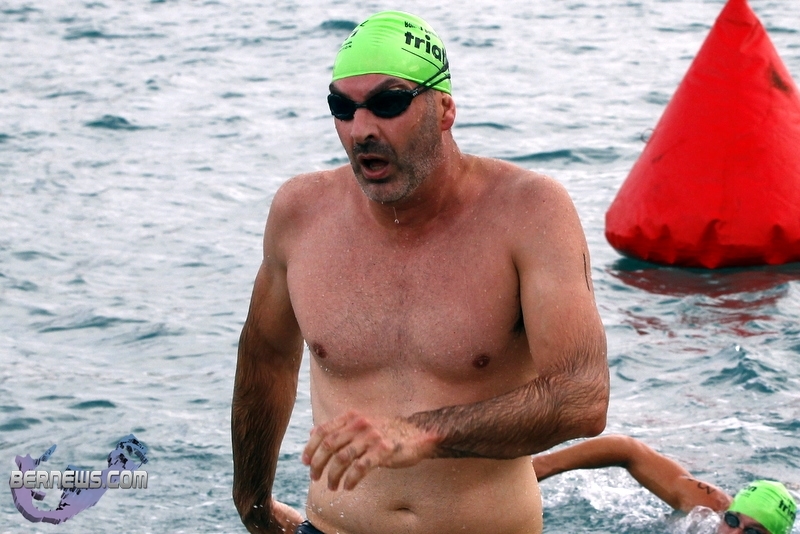 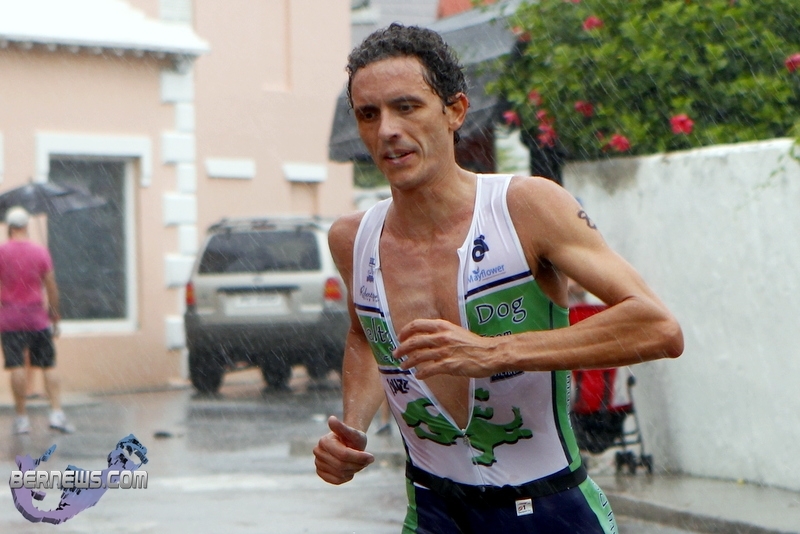 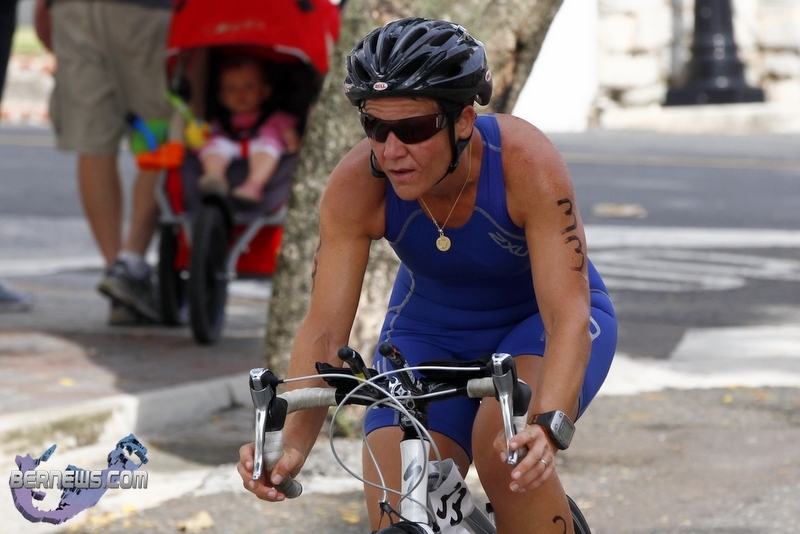 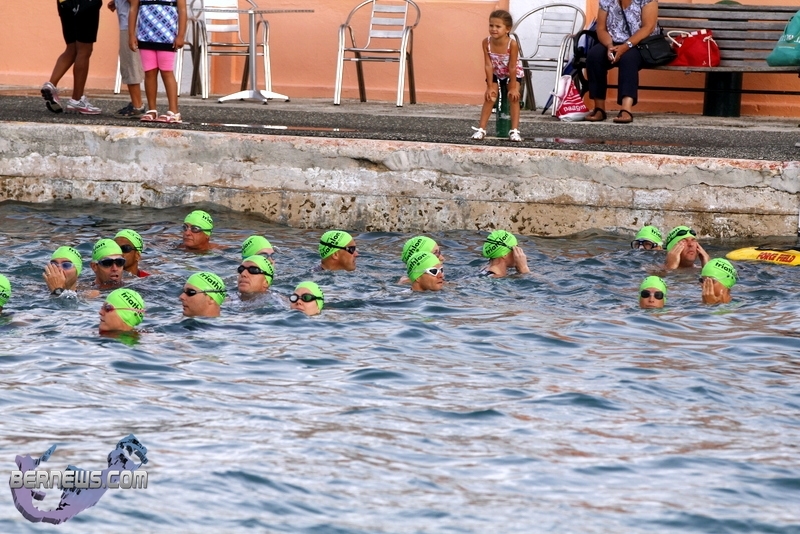 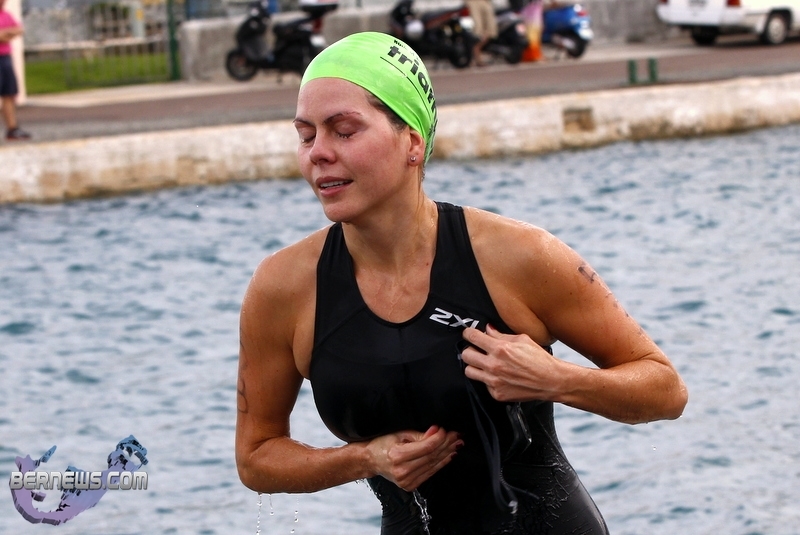 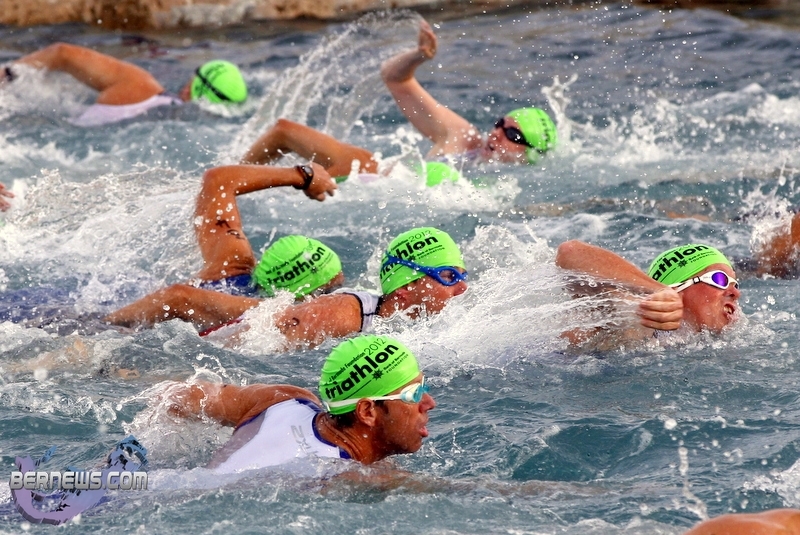 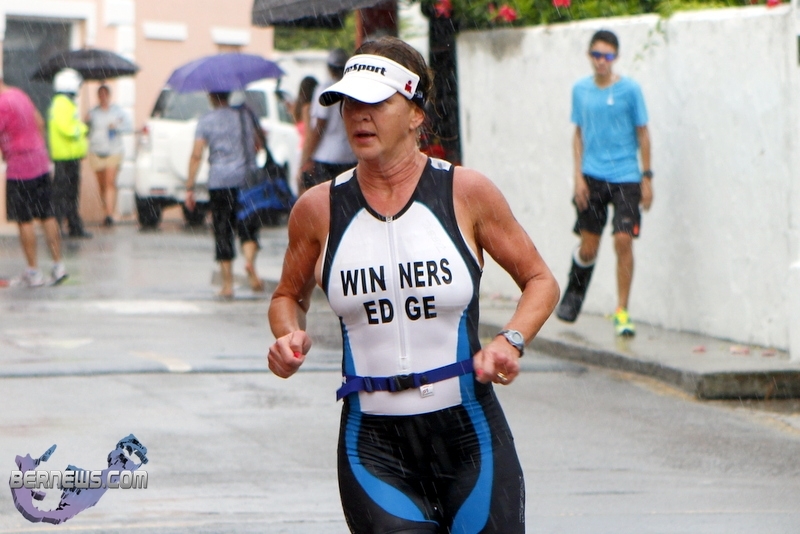 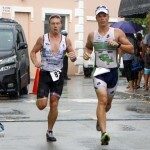 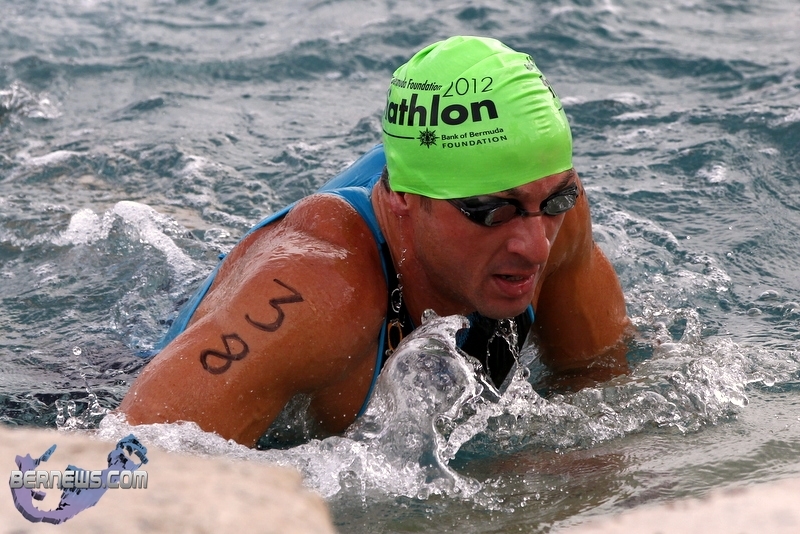 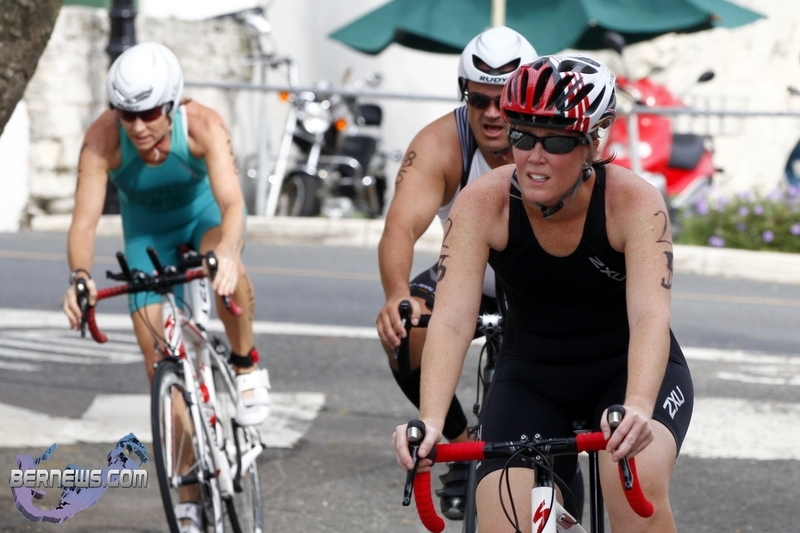 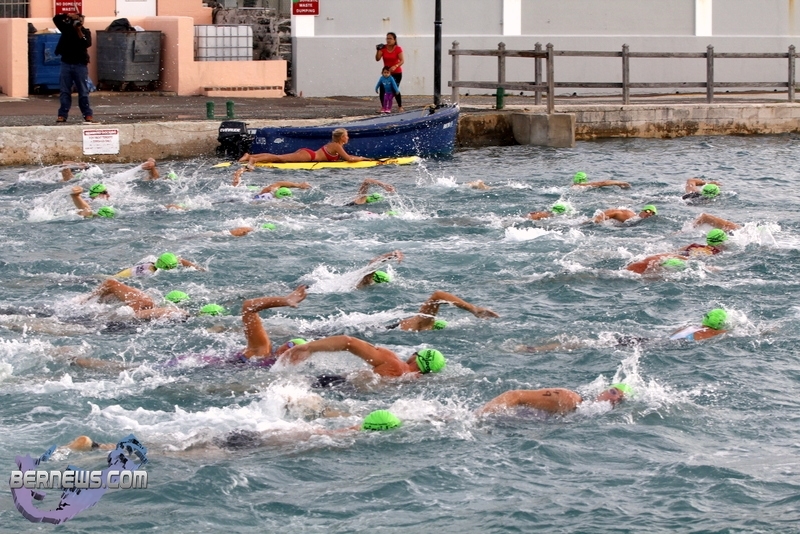 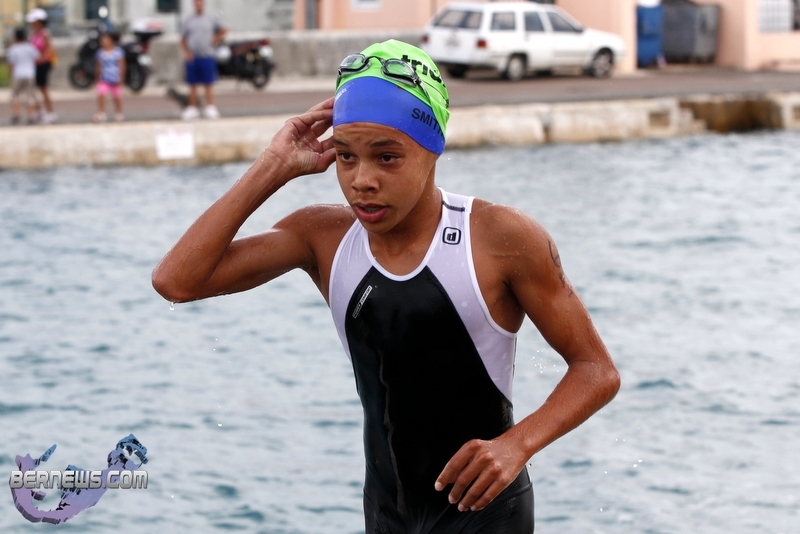 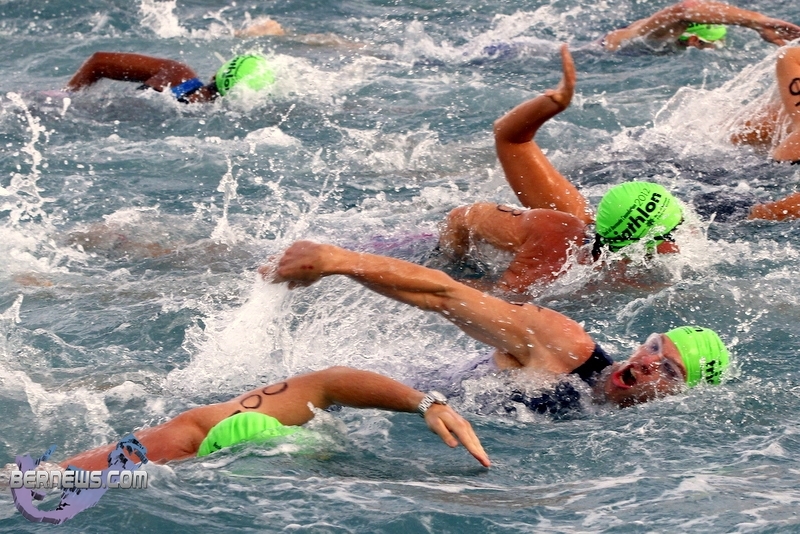 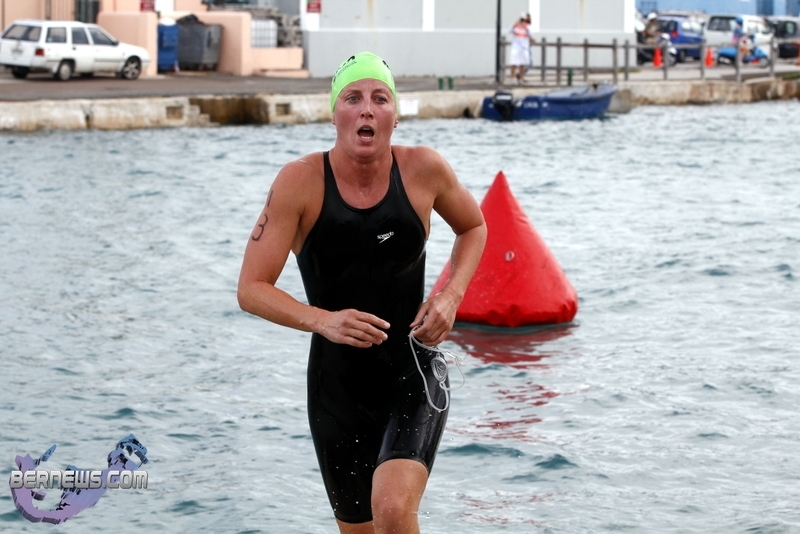 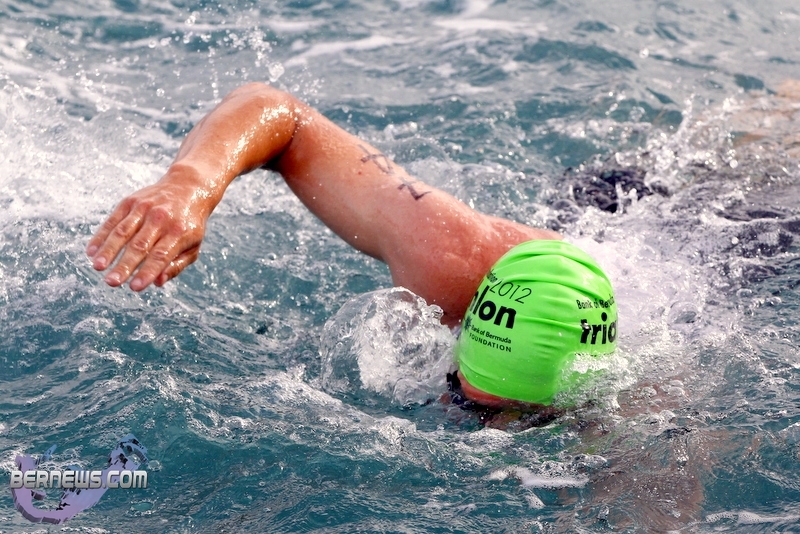 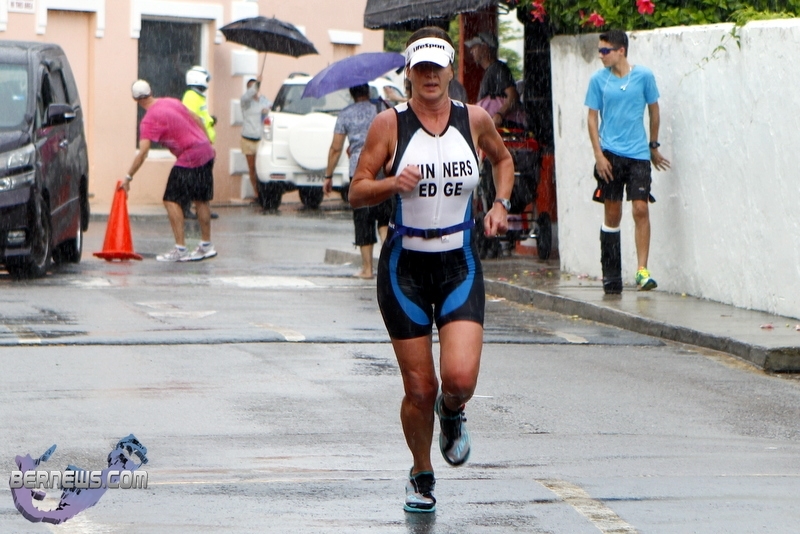 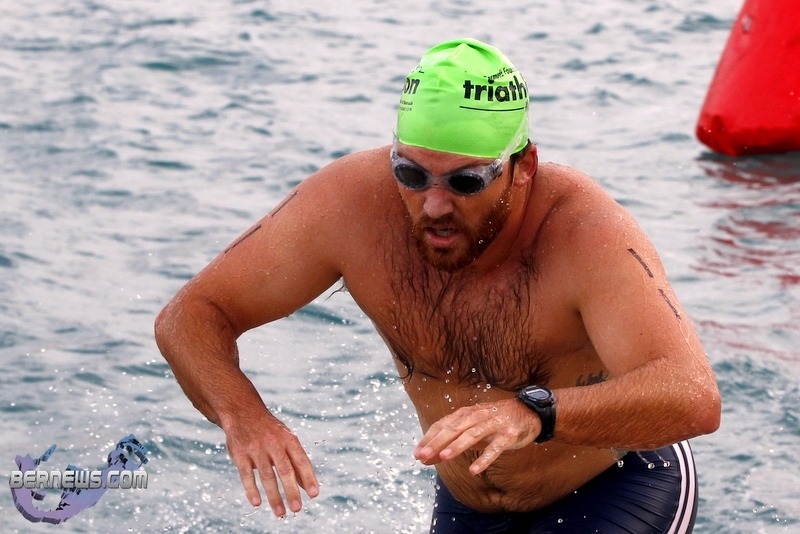 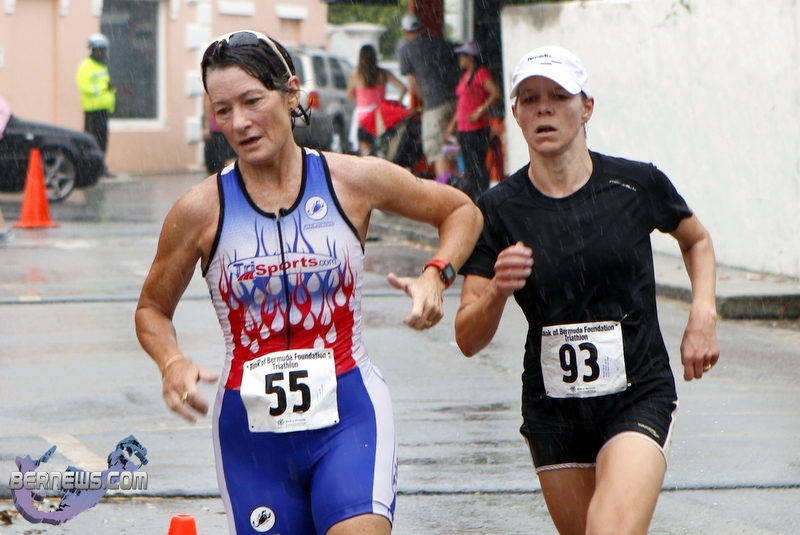 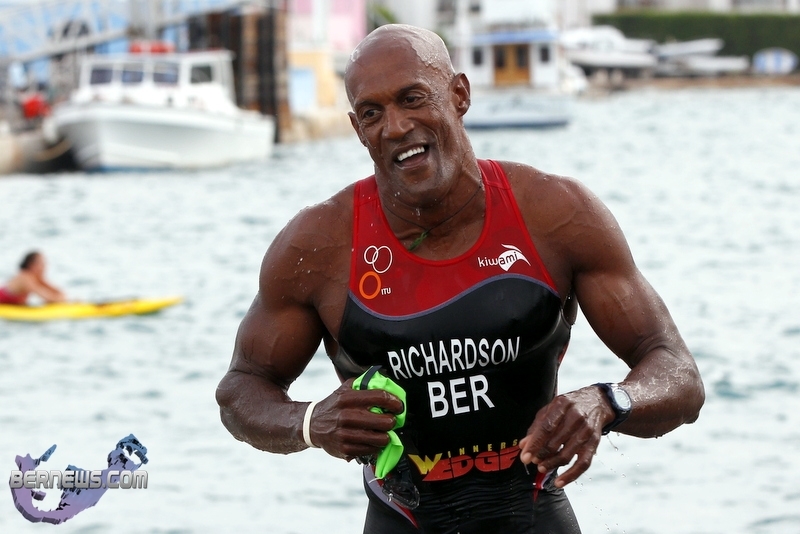 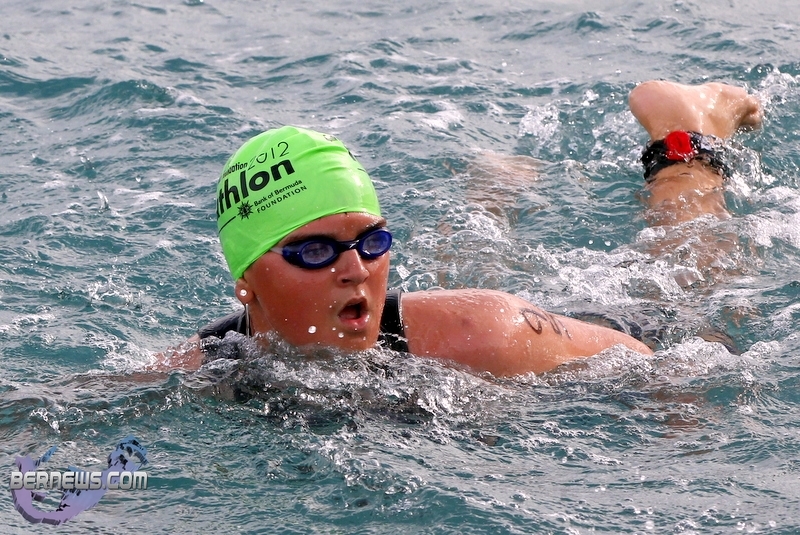 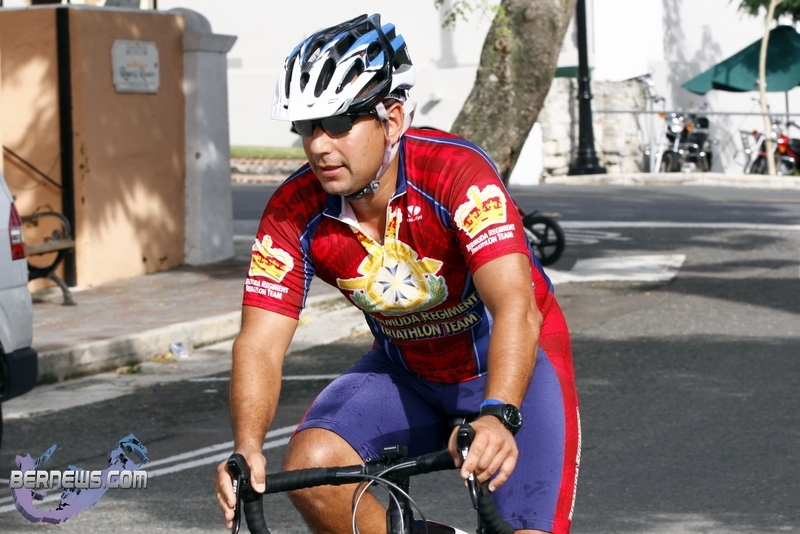 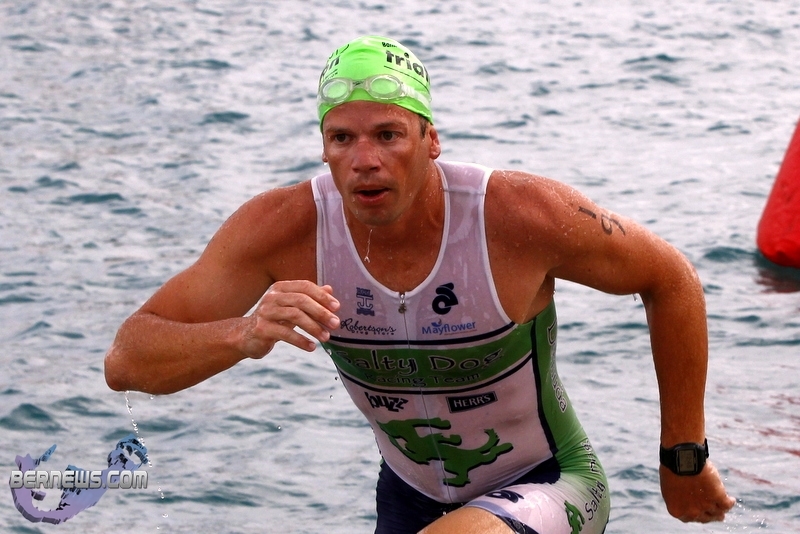 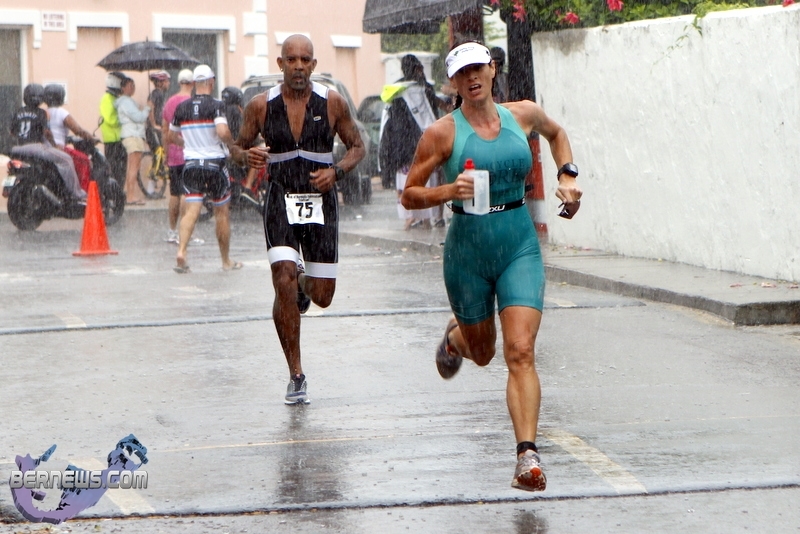 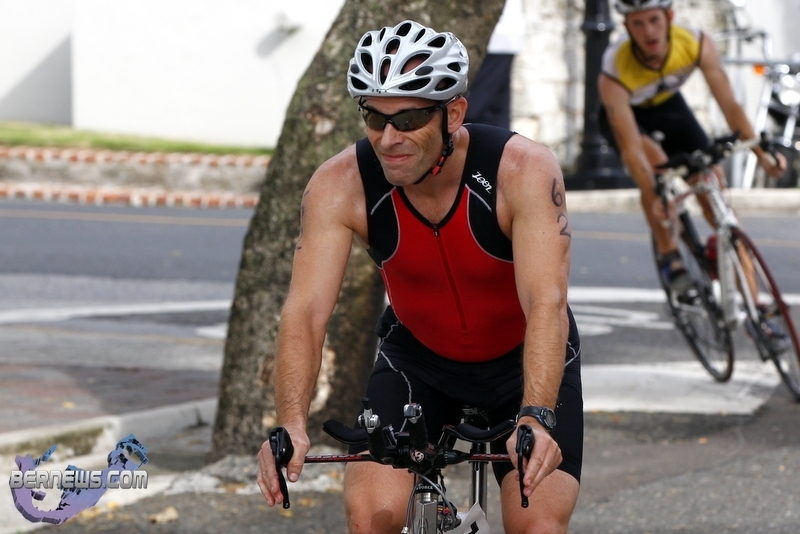 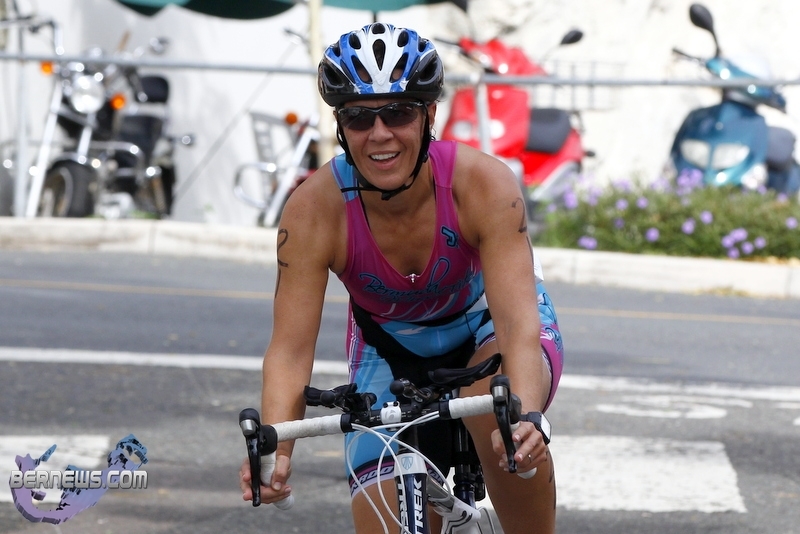 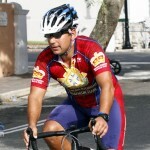 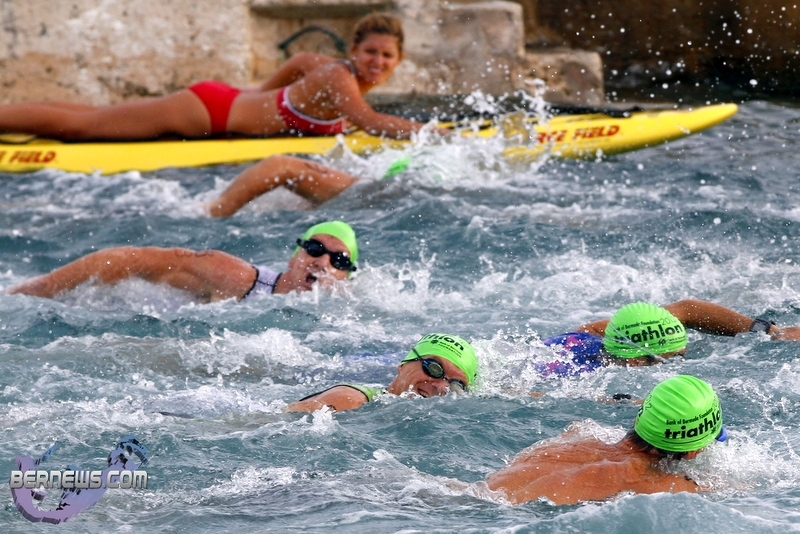 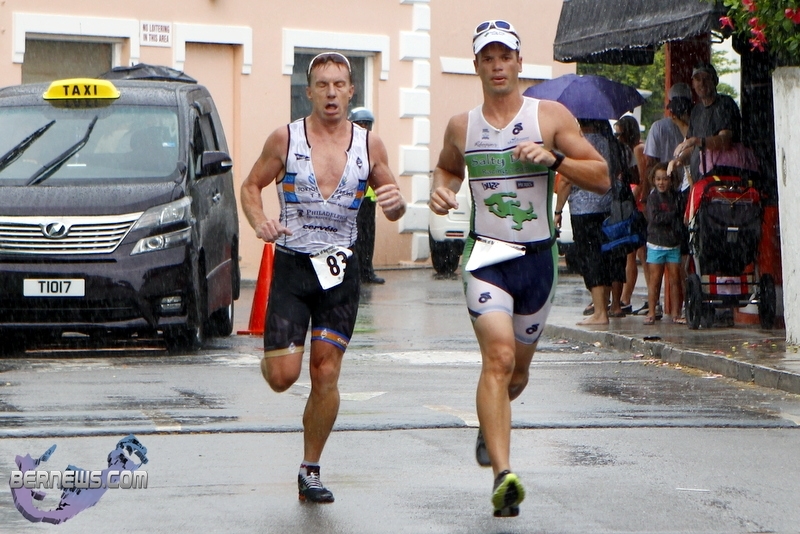 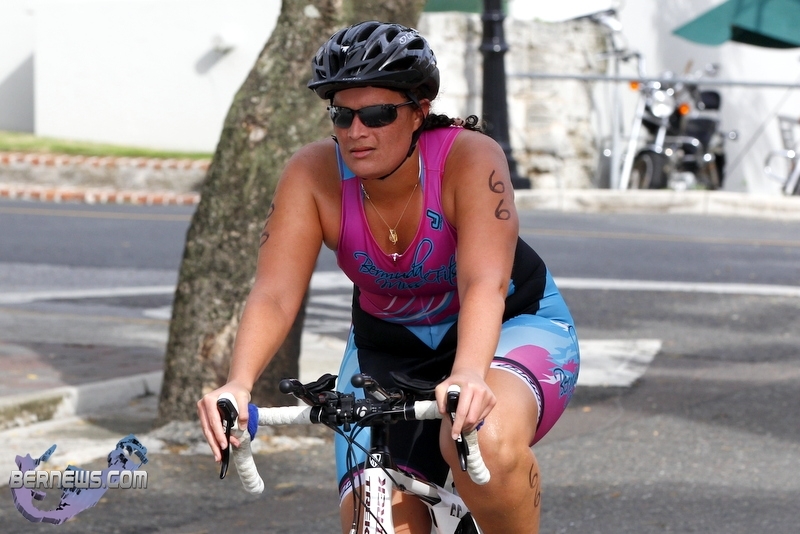 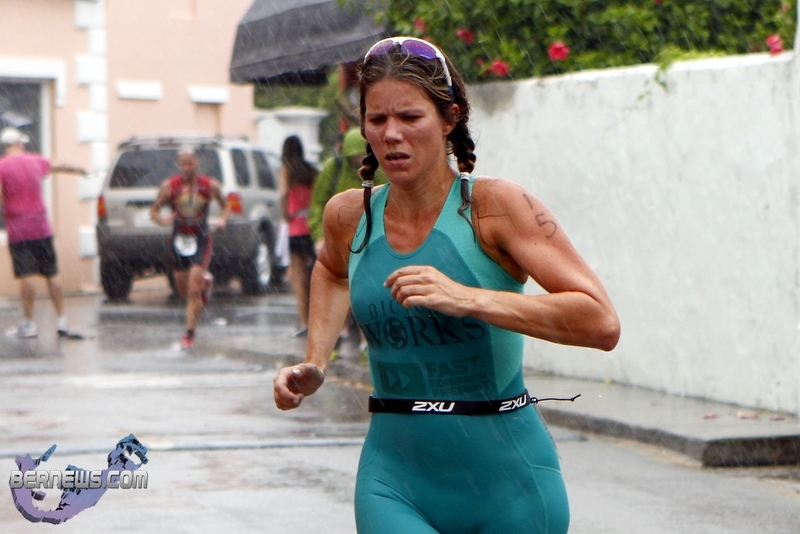 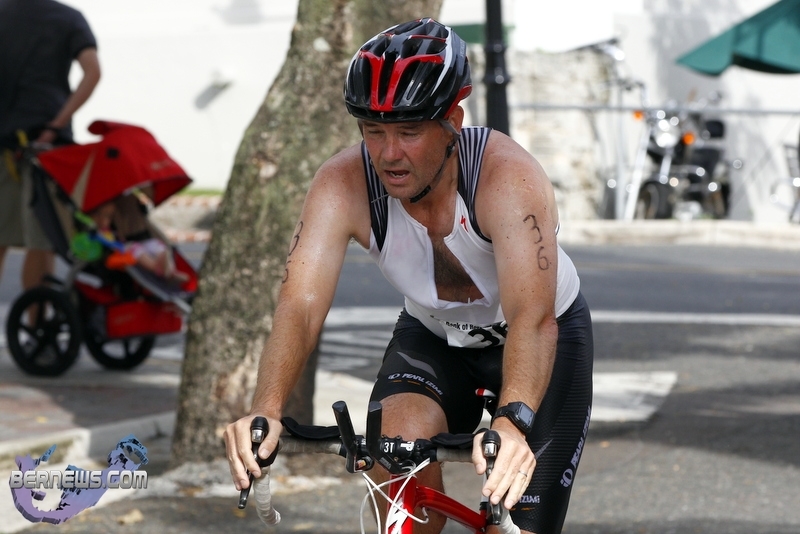 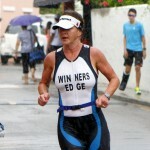 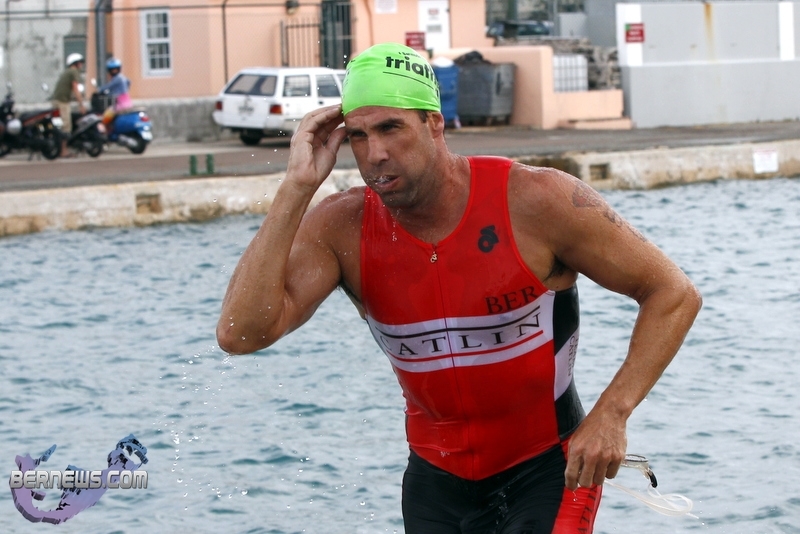 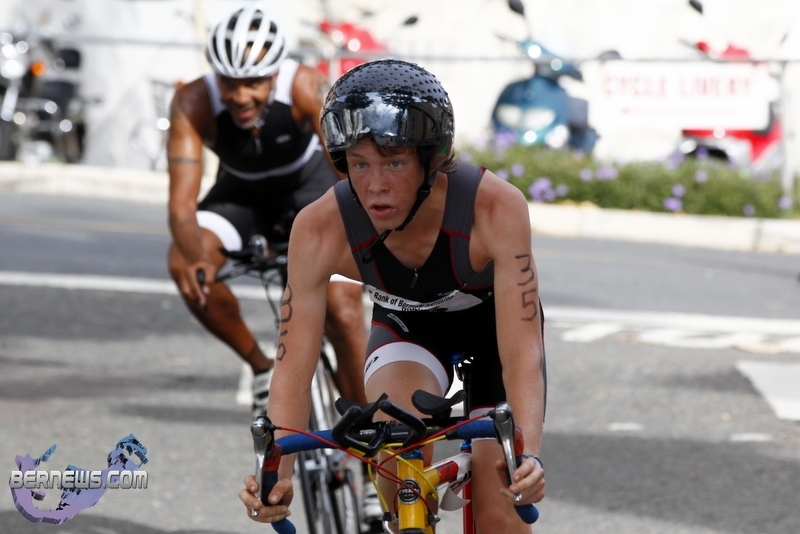 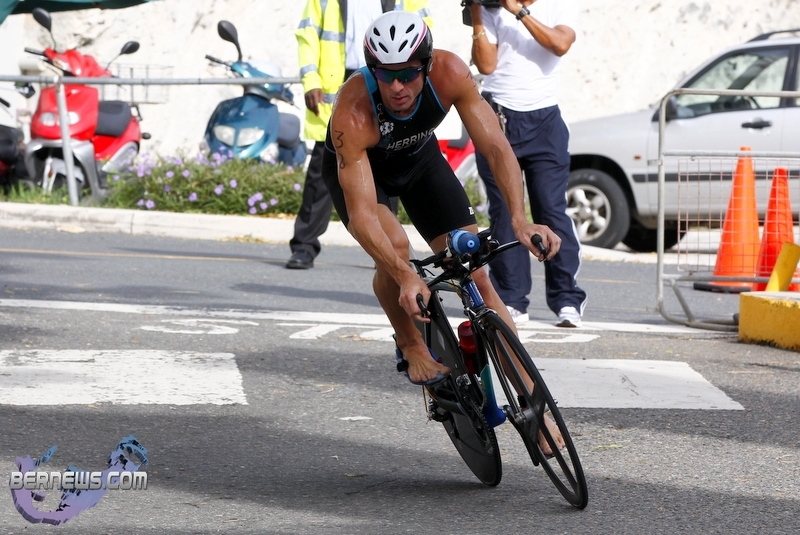 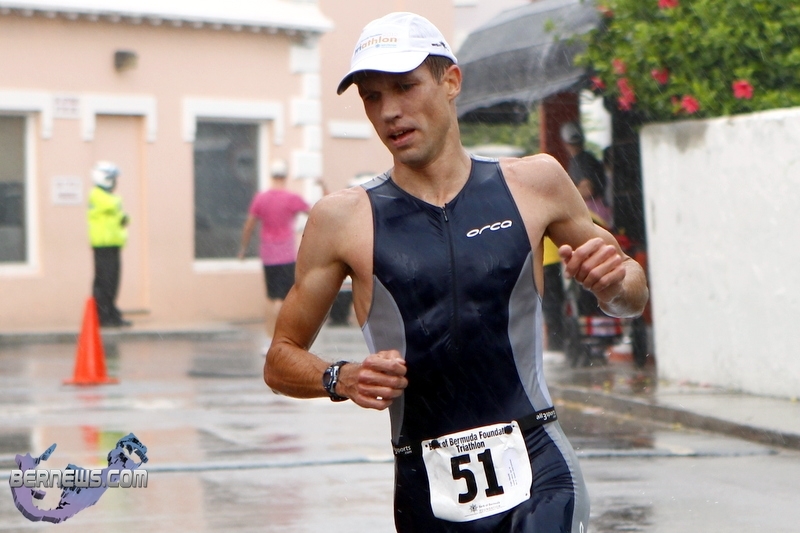 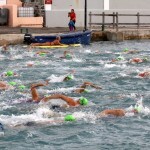 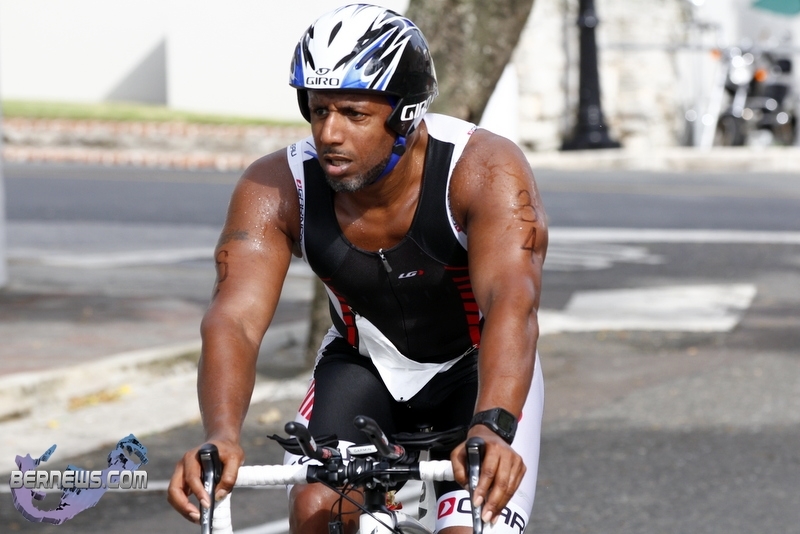 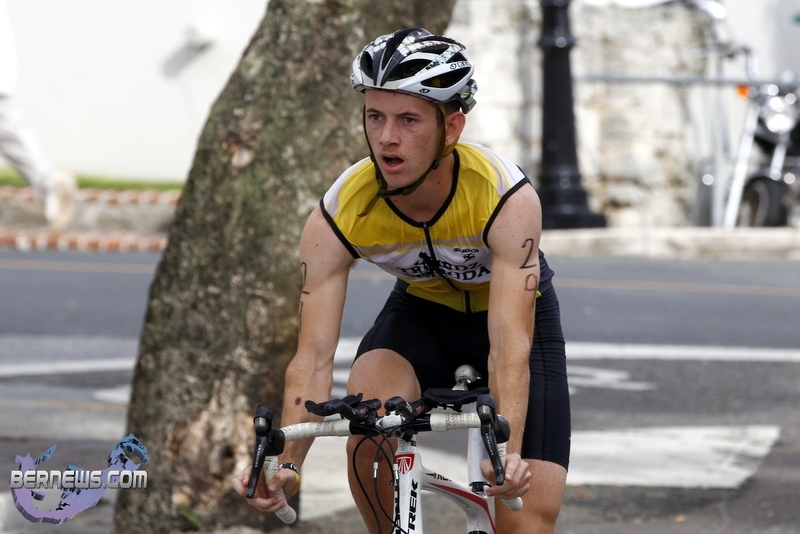 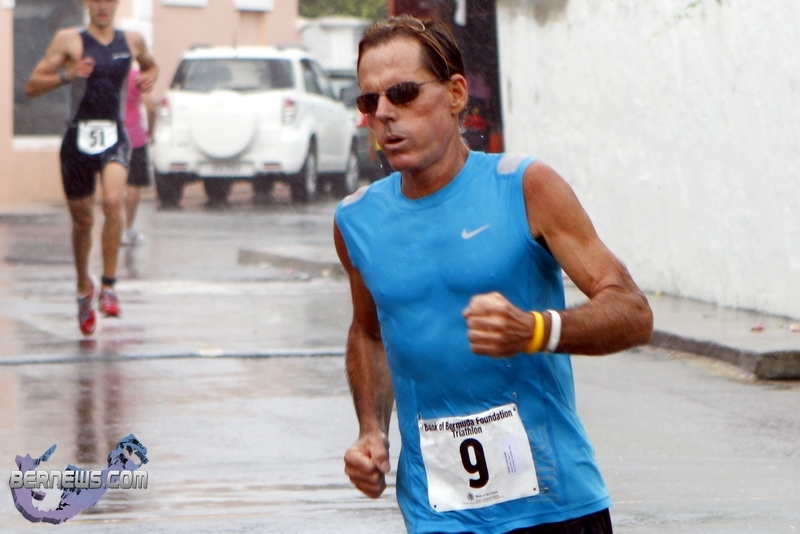 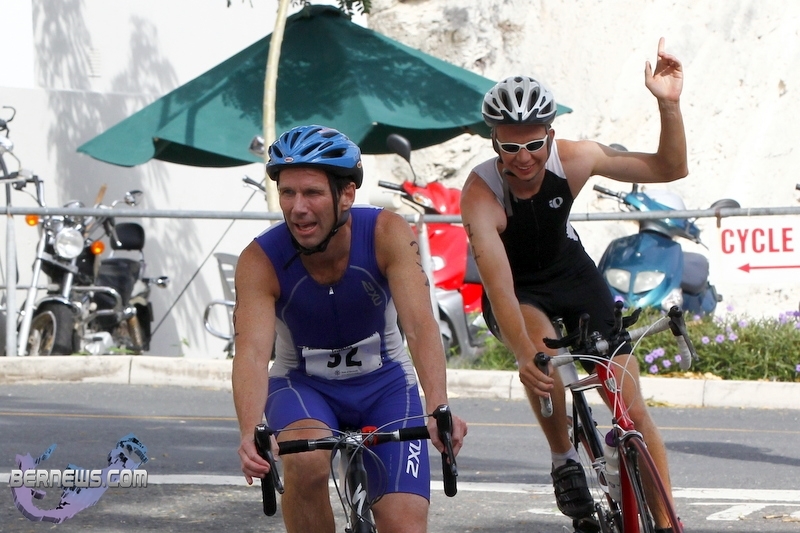 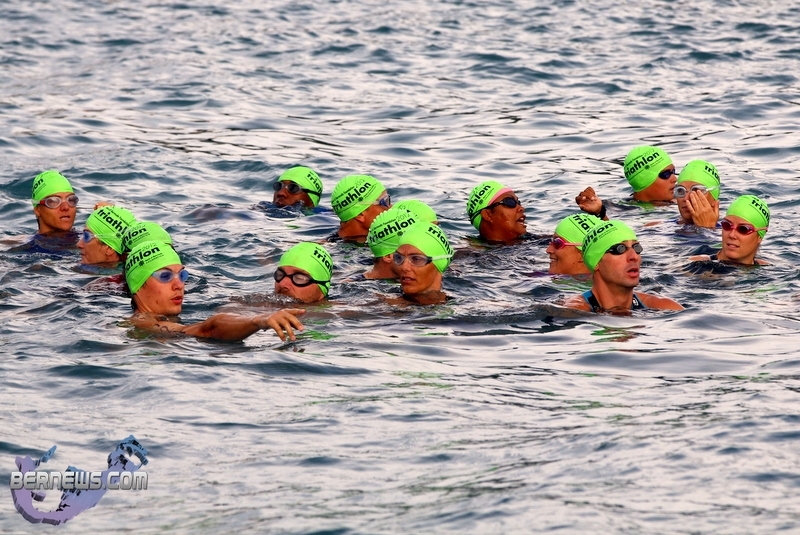 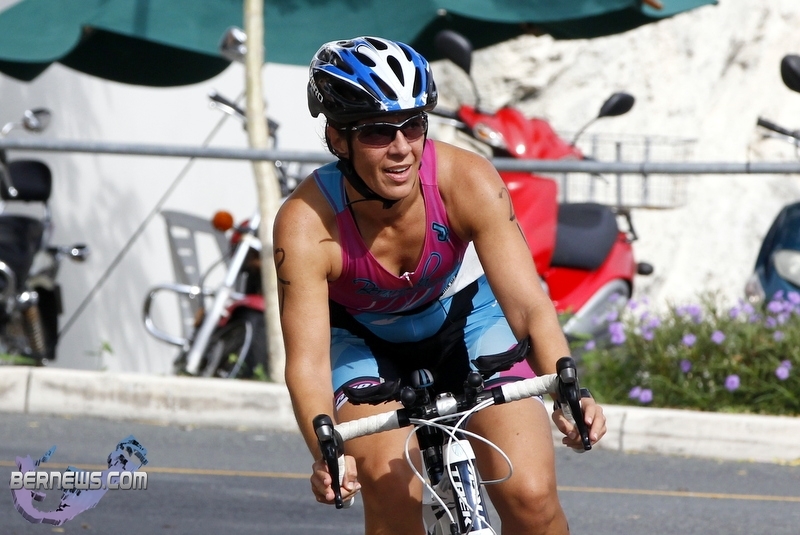 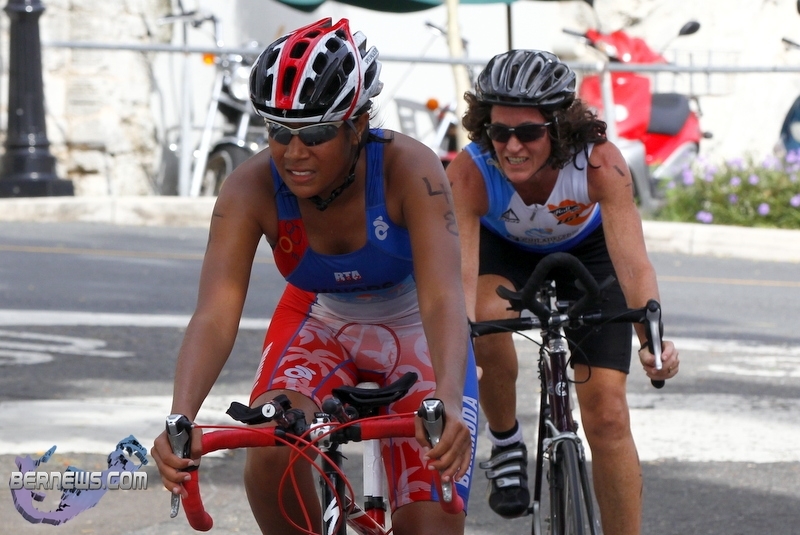 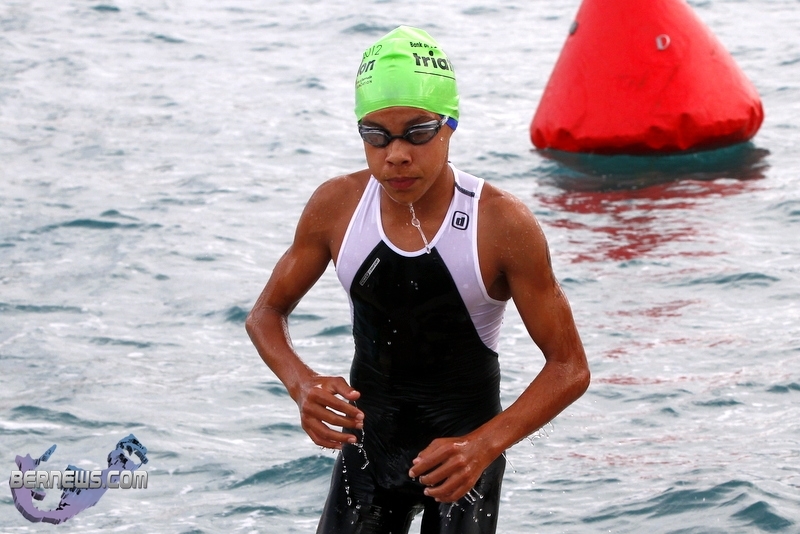 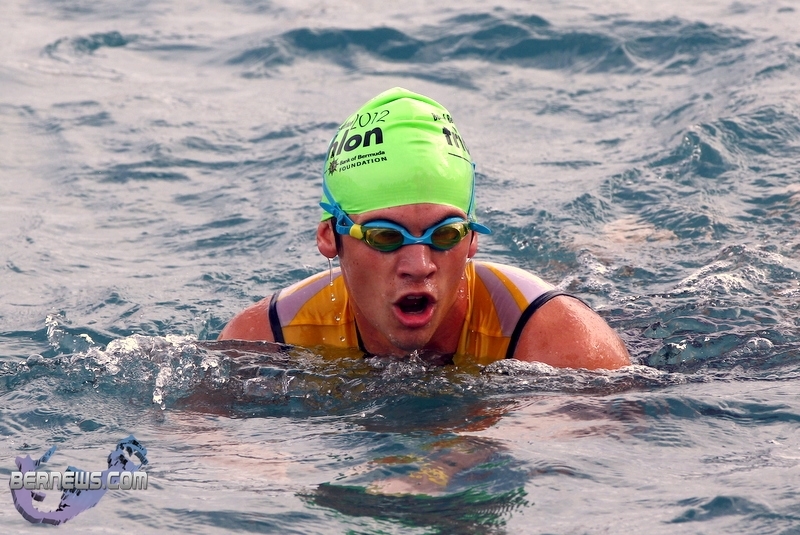 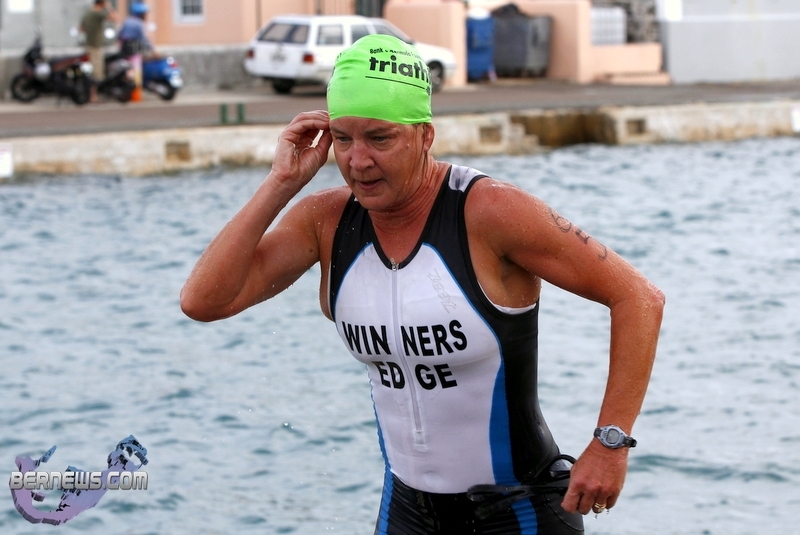 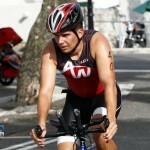 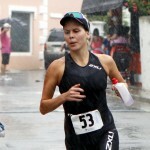 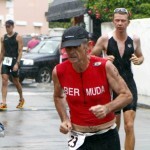 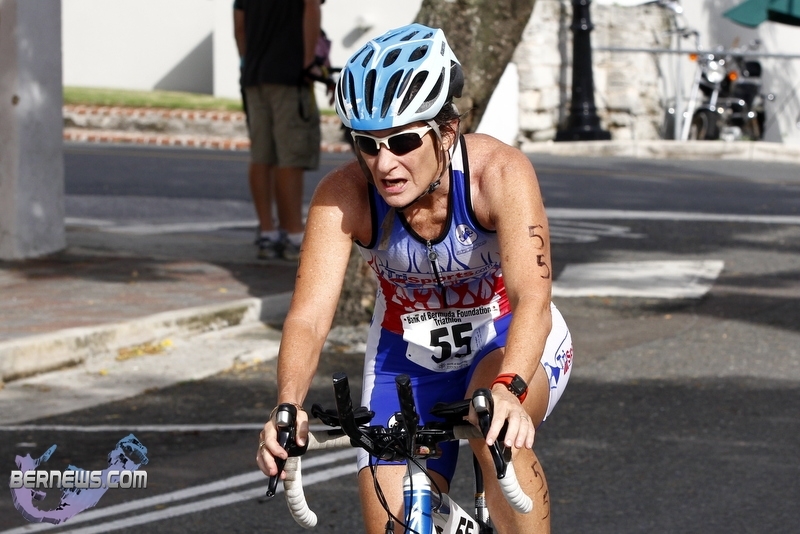 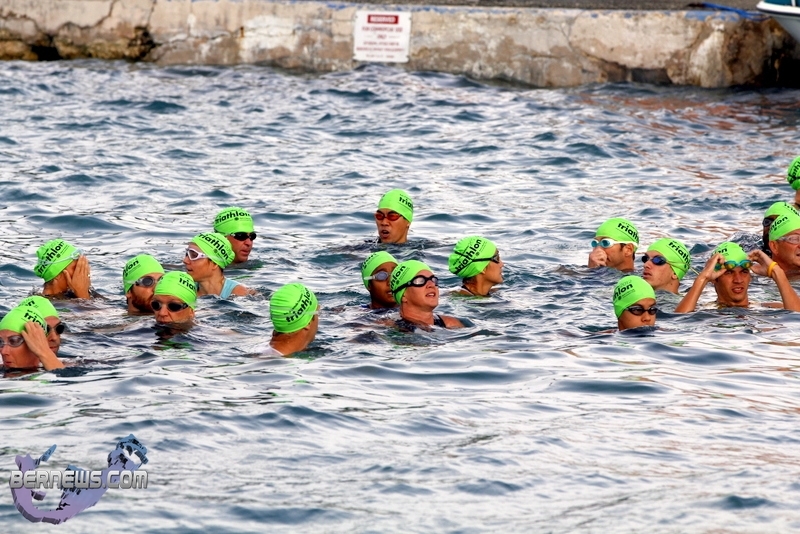 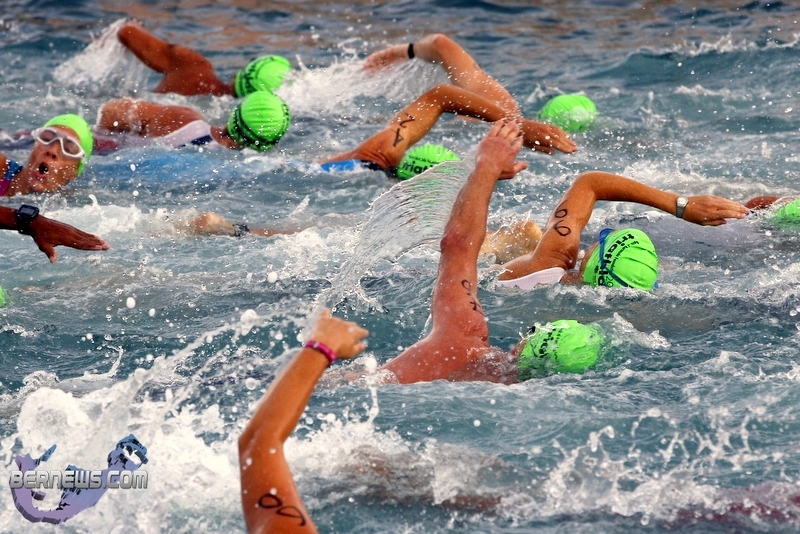 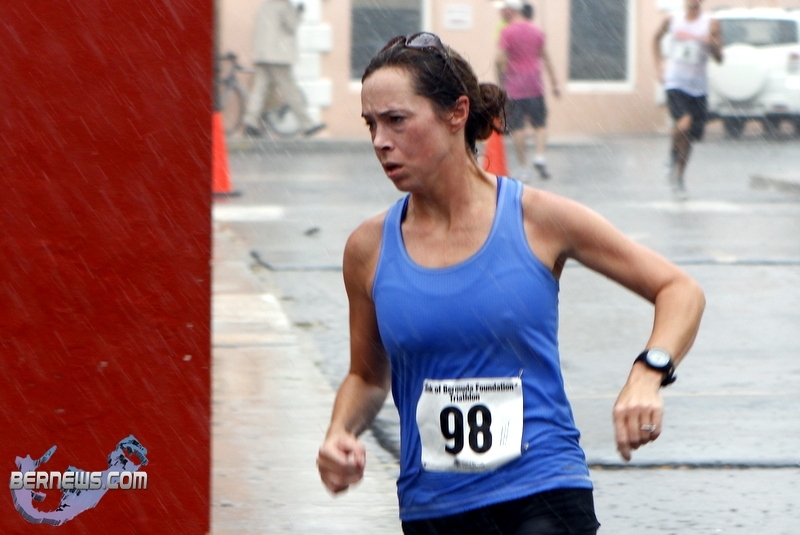 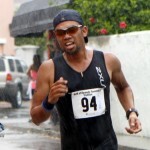 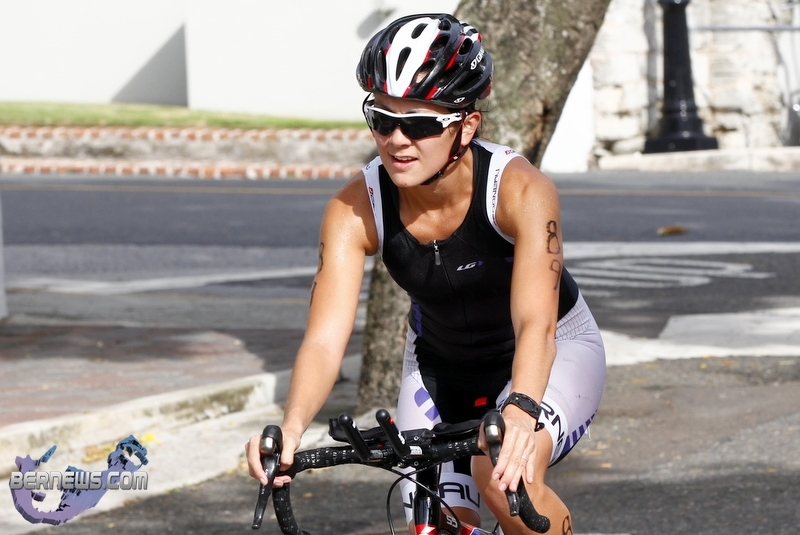 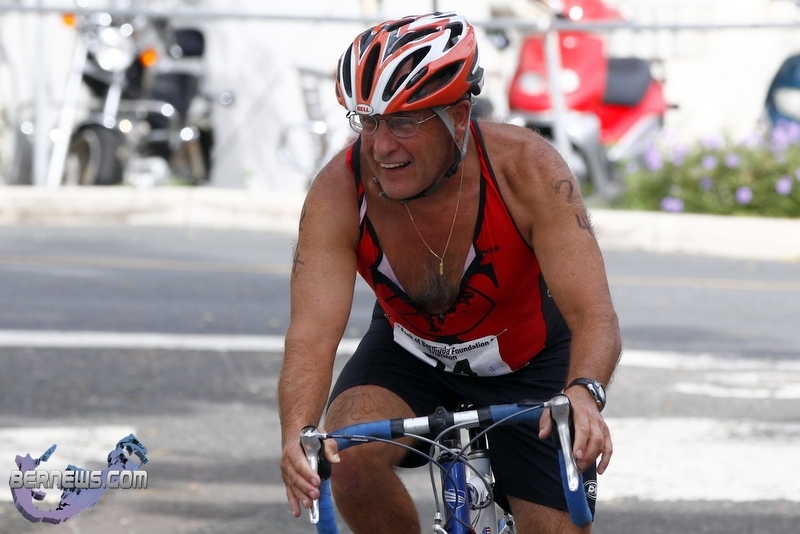 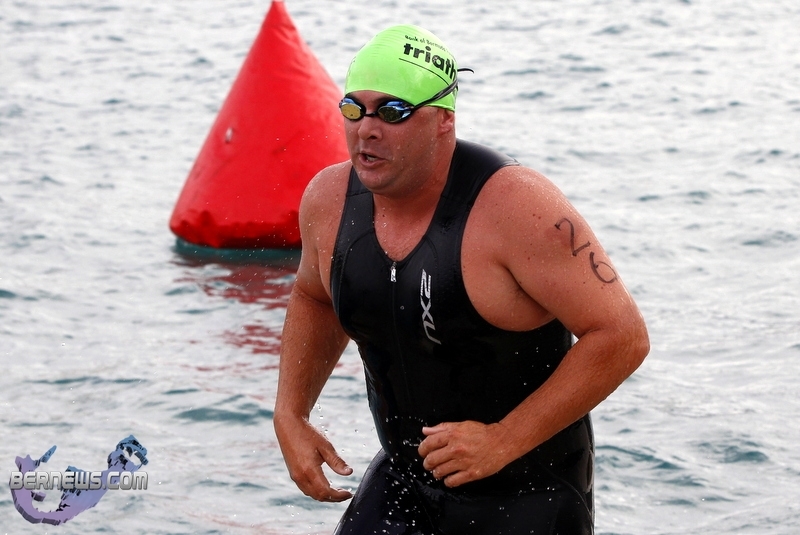 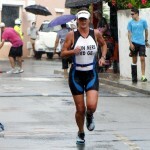 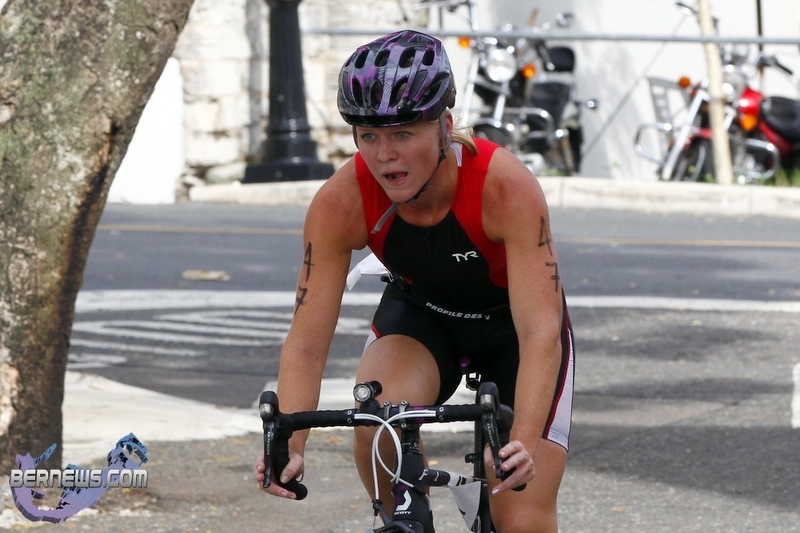 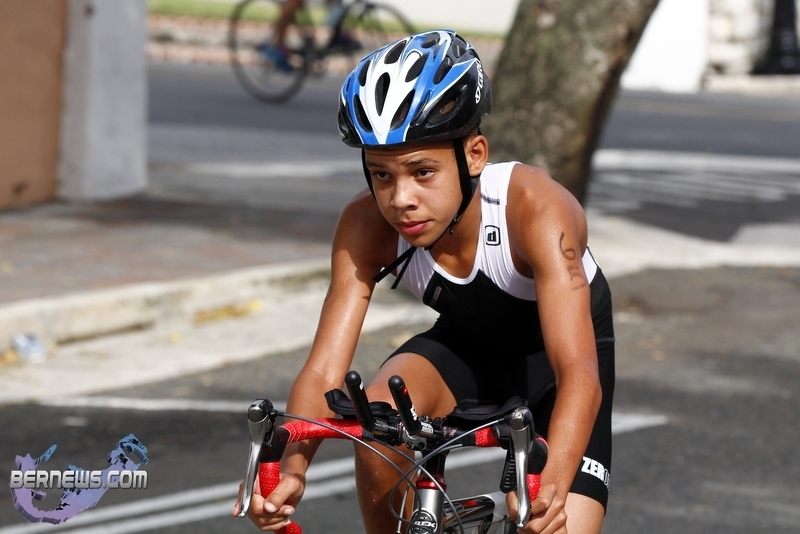 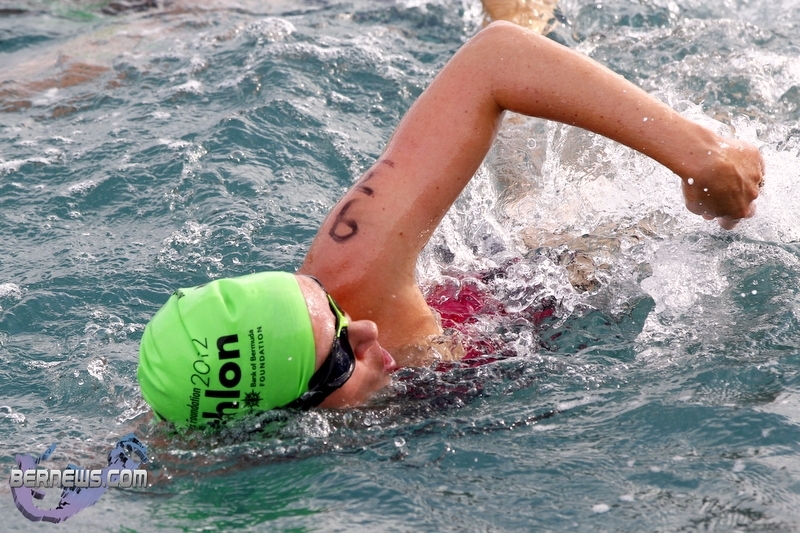 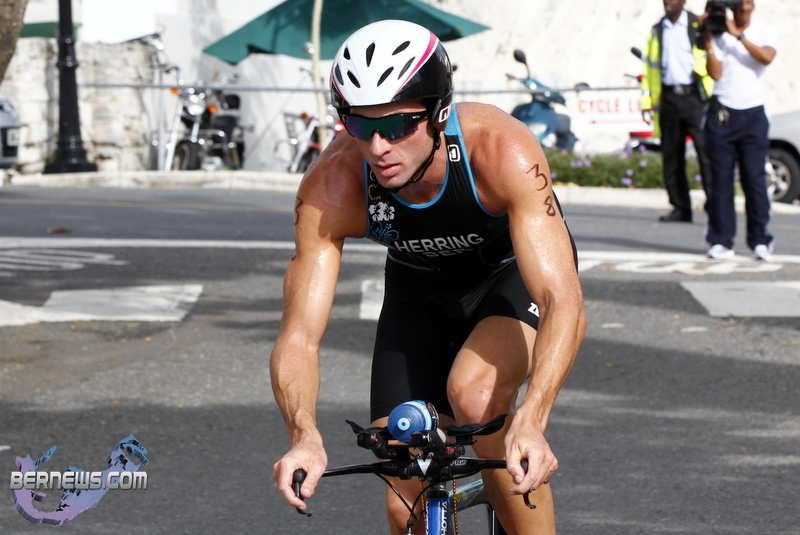 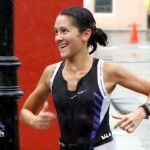 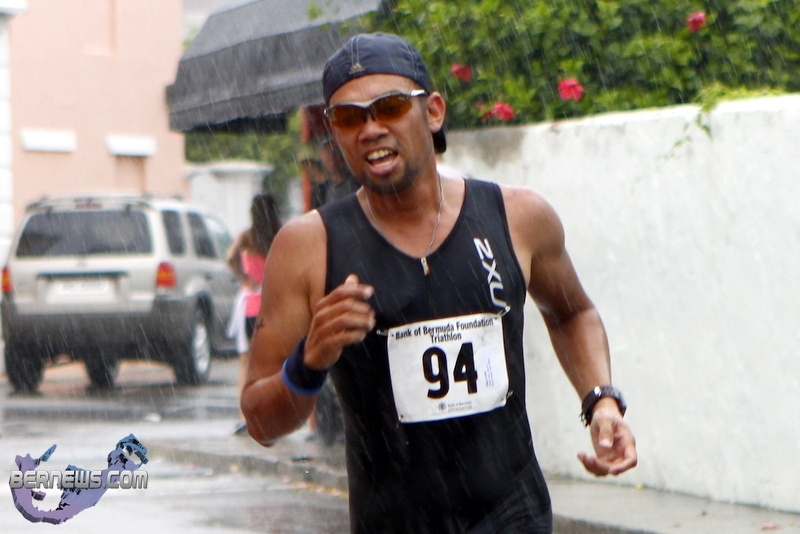 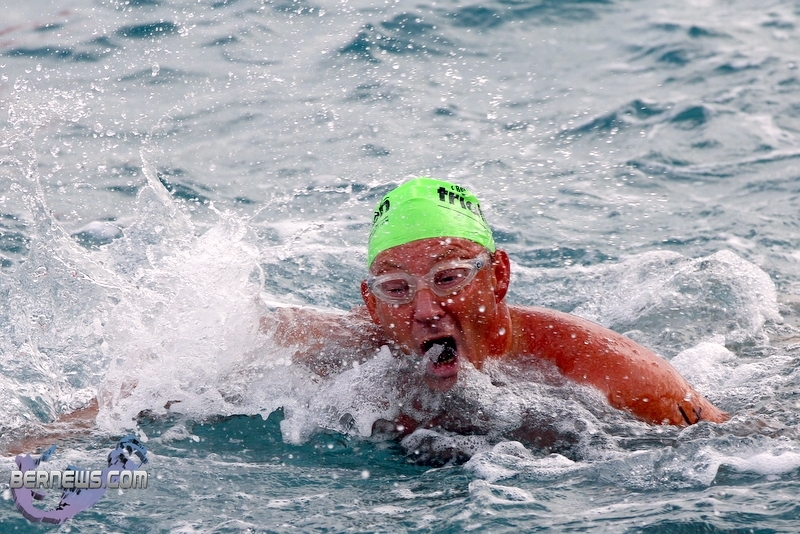 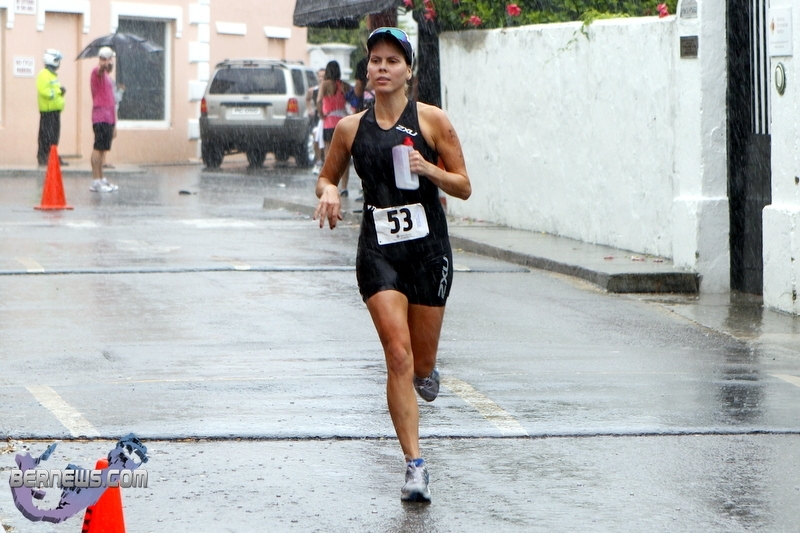 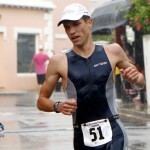 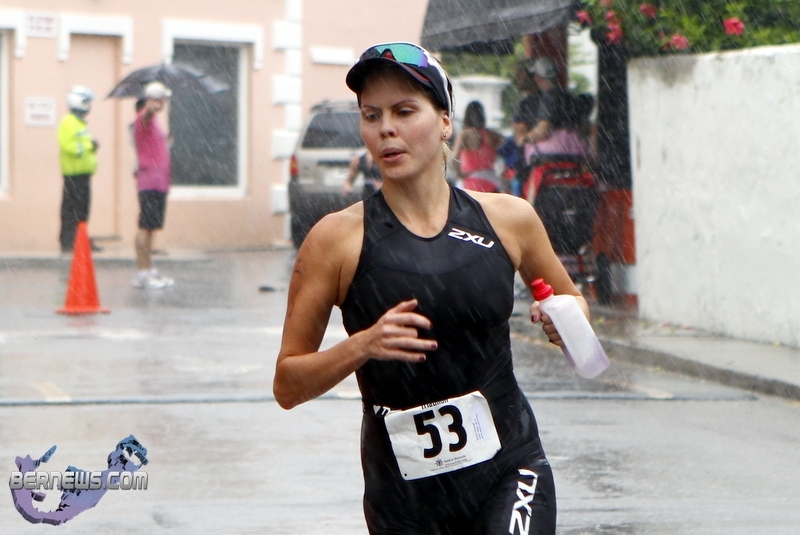 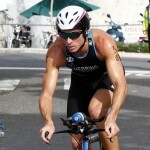 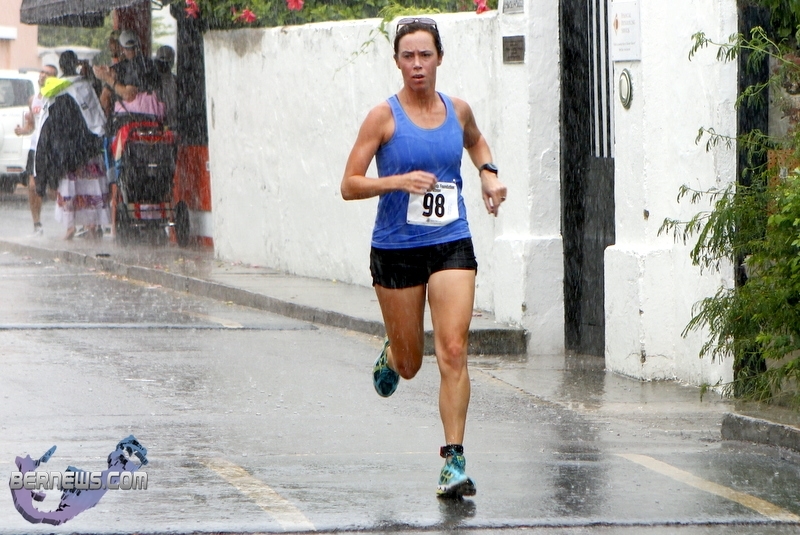 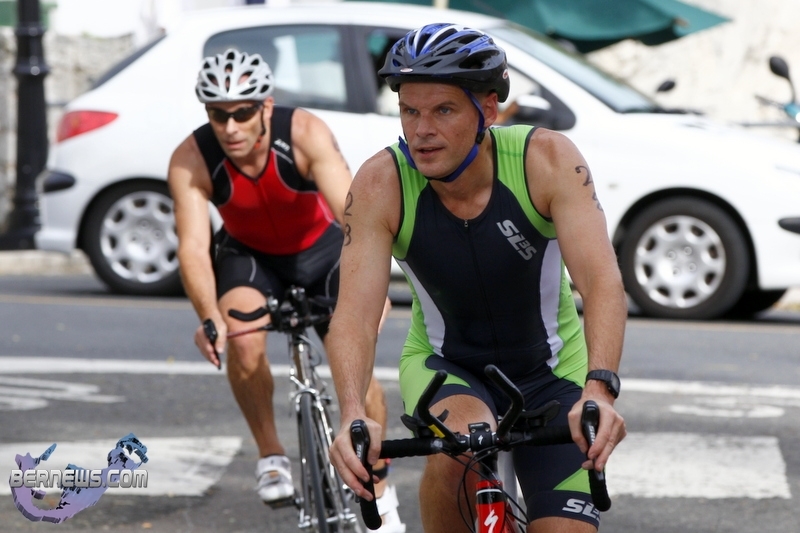 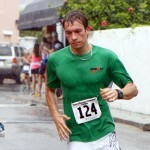 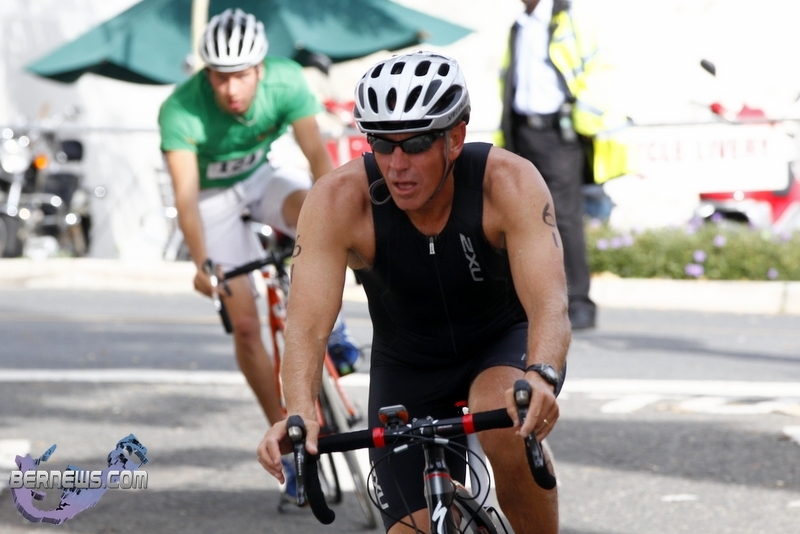 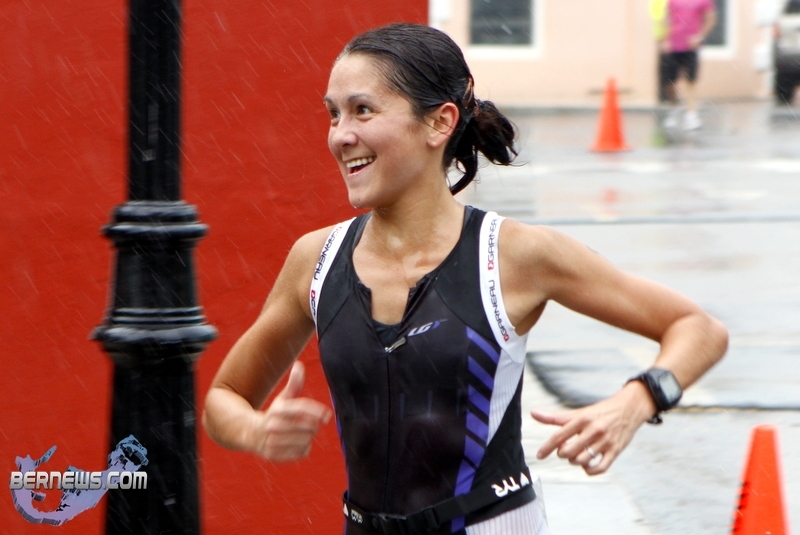 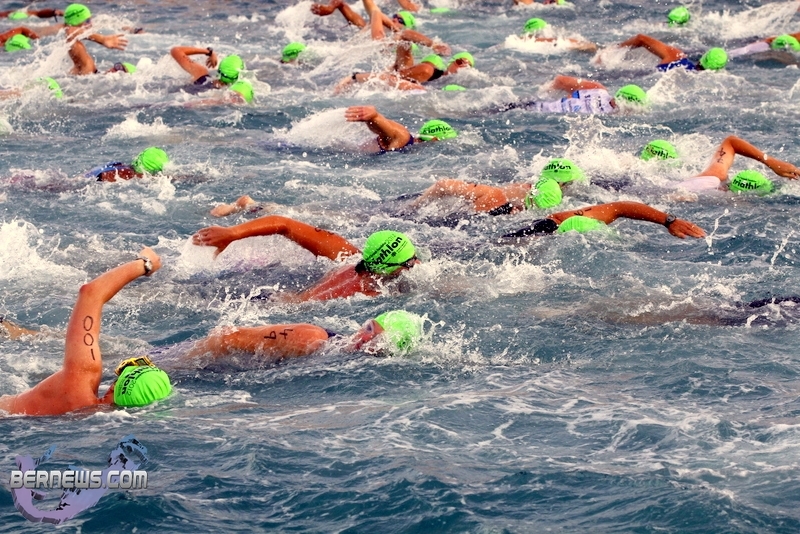 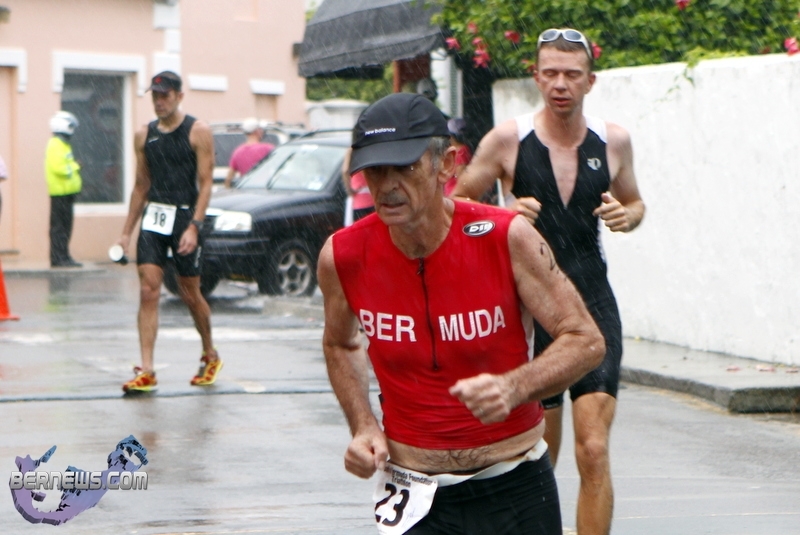 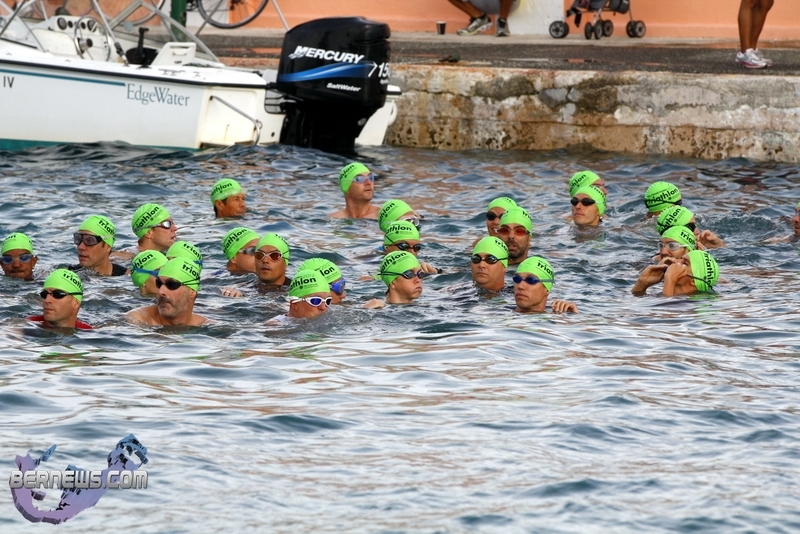 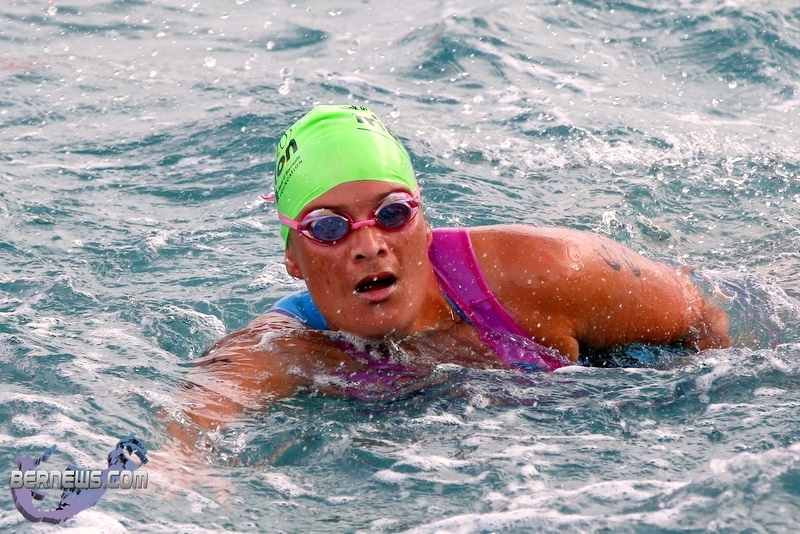 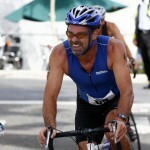 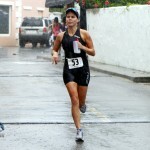 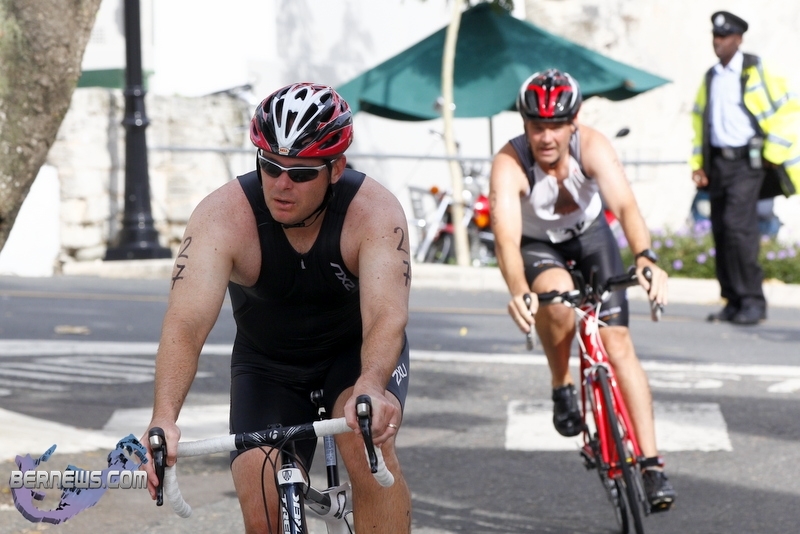 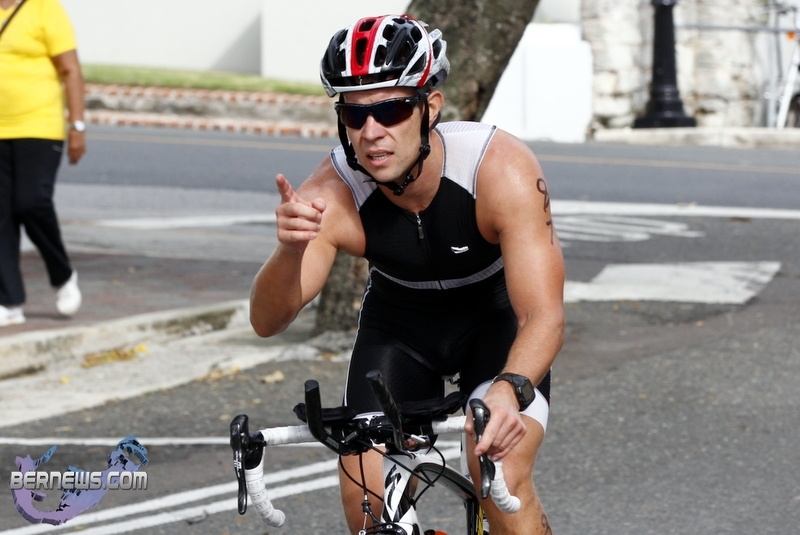 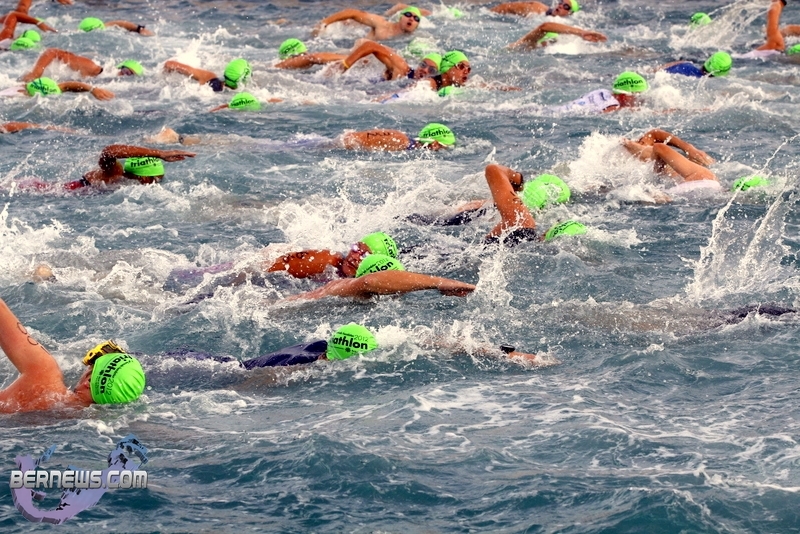 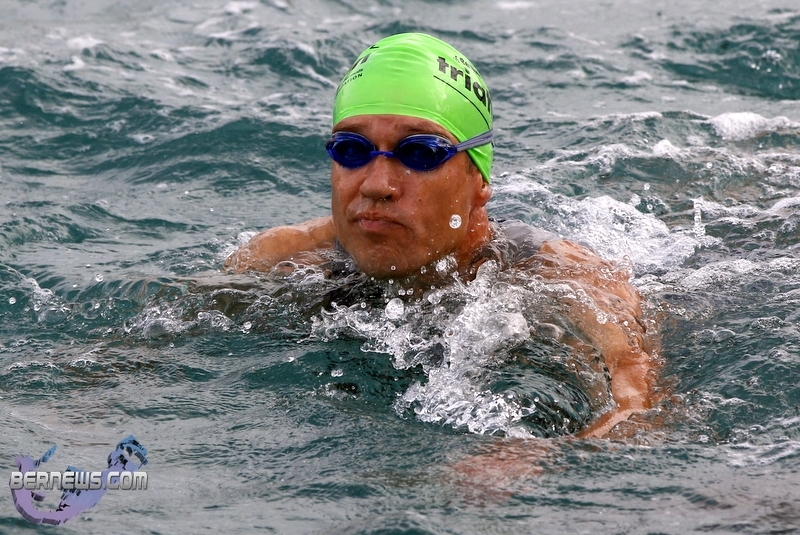 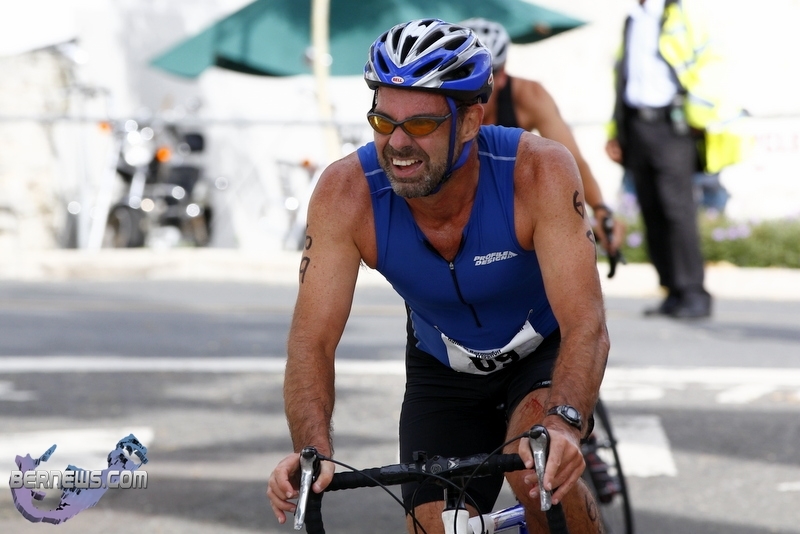 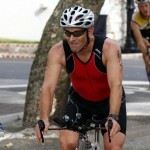 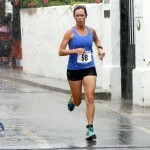 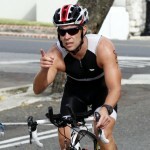 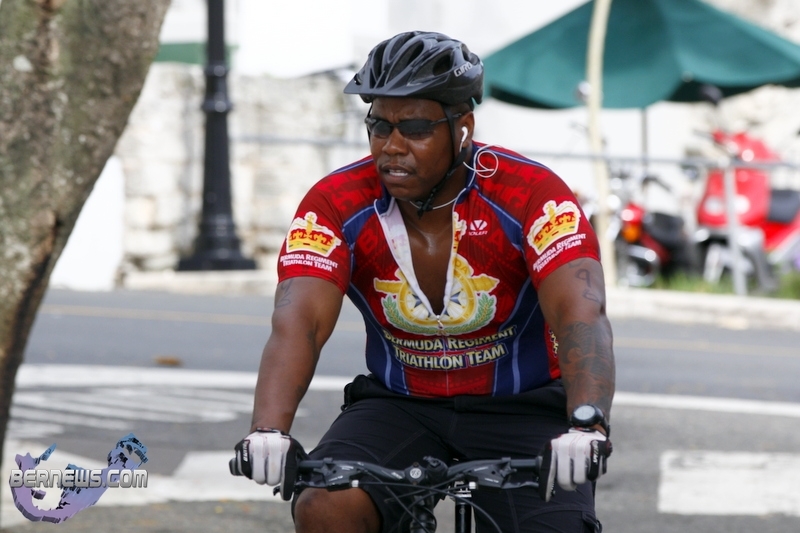 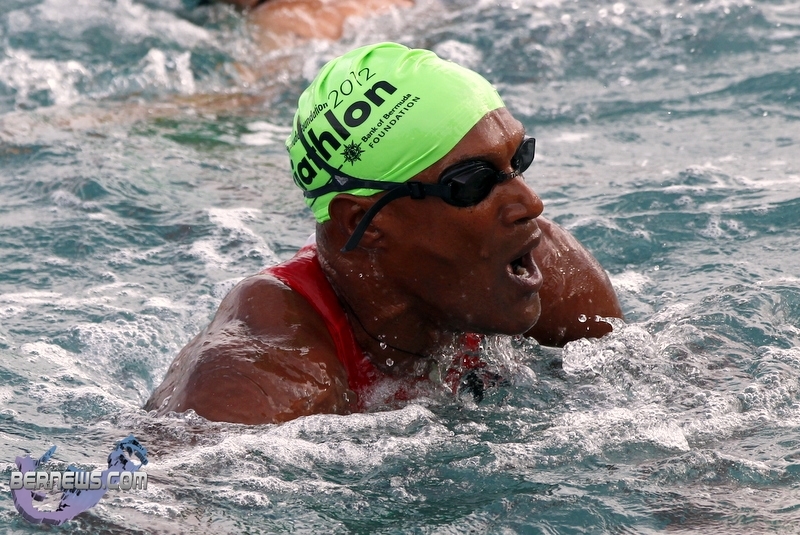 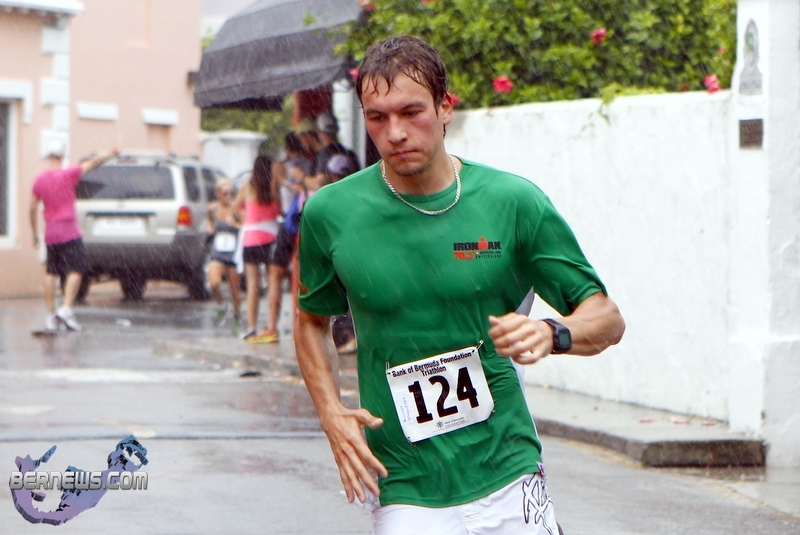 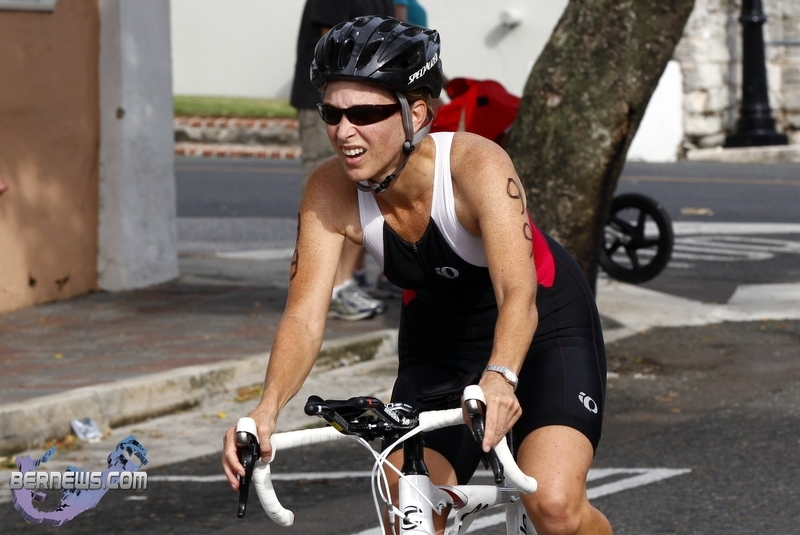 The 2012 Bermuda Triathlon Association’s Bank of Bermuda Foundation Triathlon was held on Sunday [Sept 30] in St. George’s, with Jonathan Herring and Karen Smith racing their way to victory under rainy conditions. 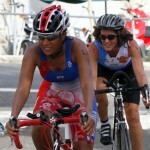 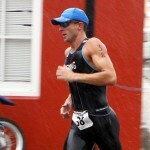 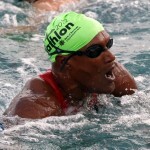 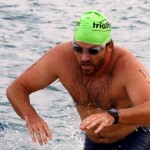 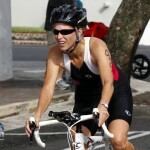 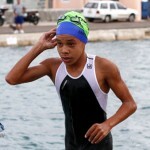 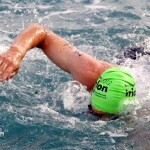 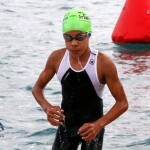 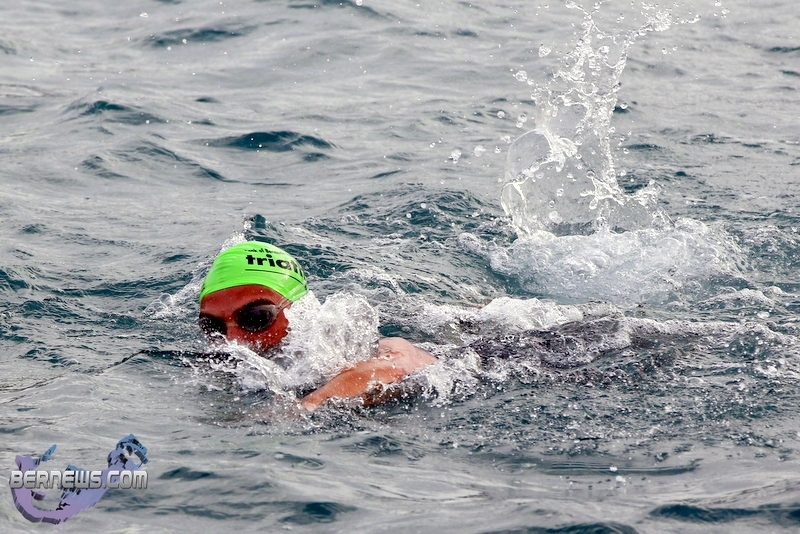 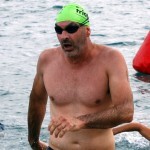 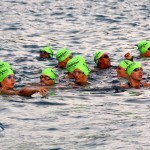 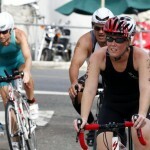 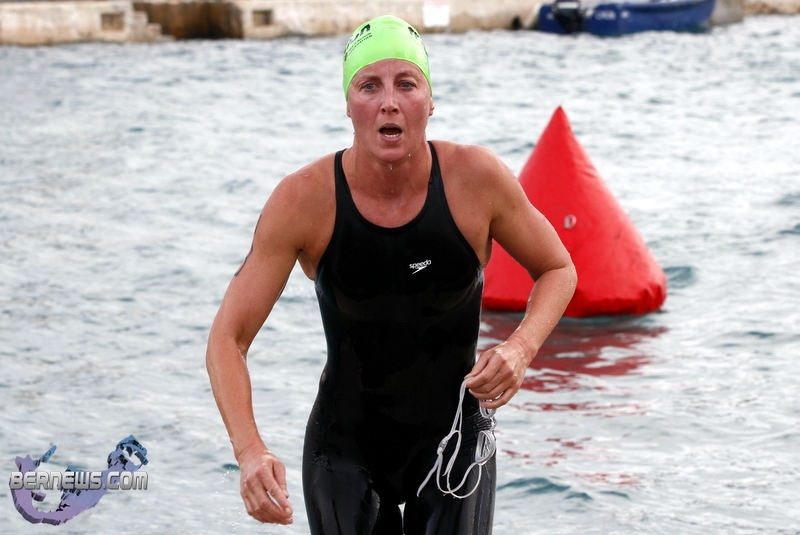 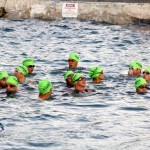 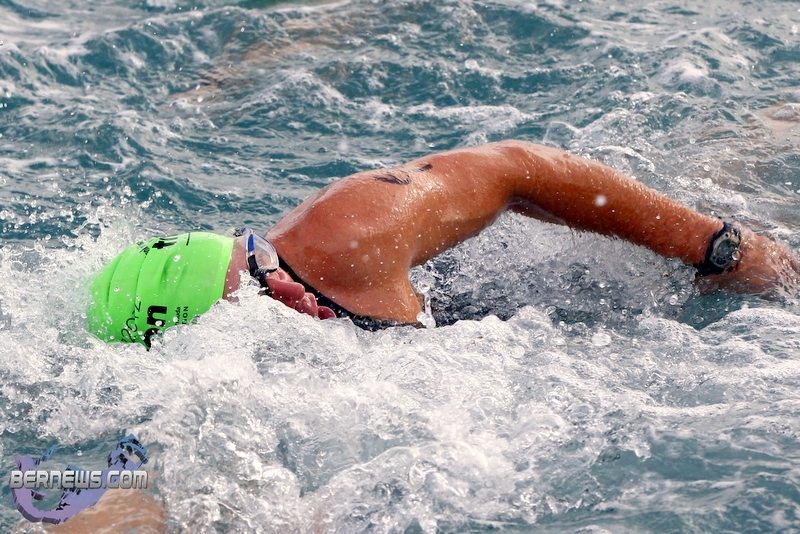 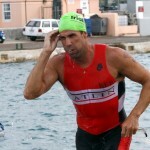 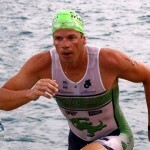 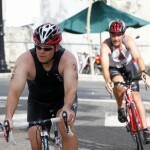 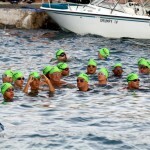 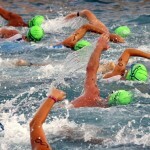 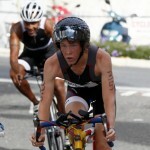 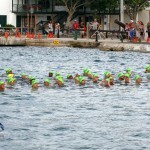 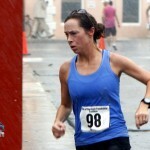 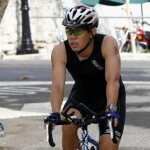 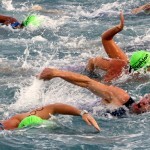 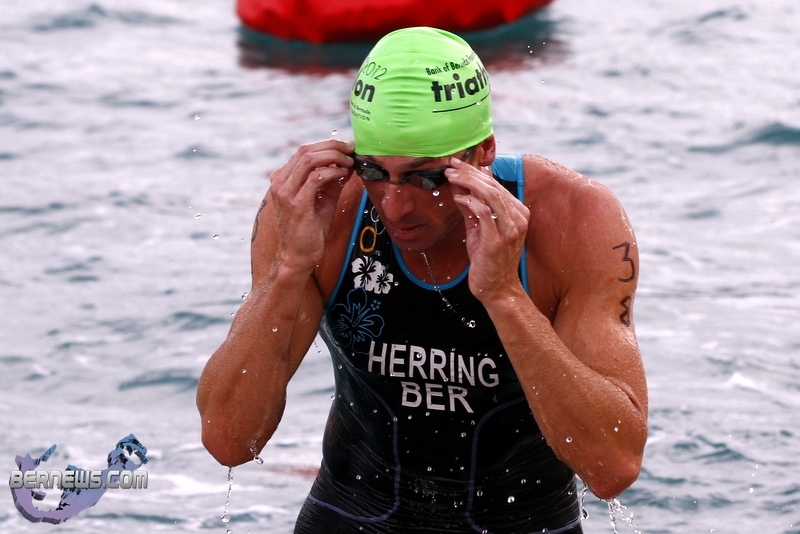 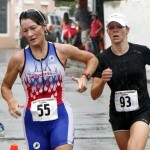 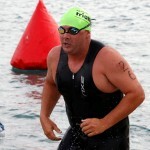 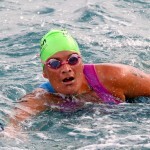 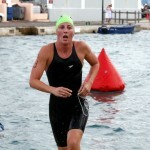 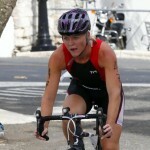 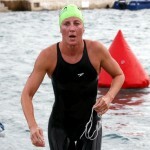 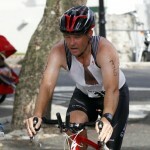 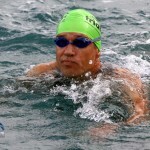 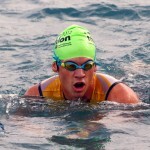 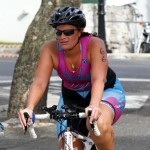 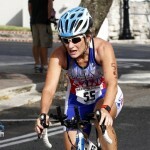 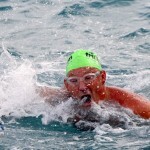 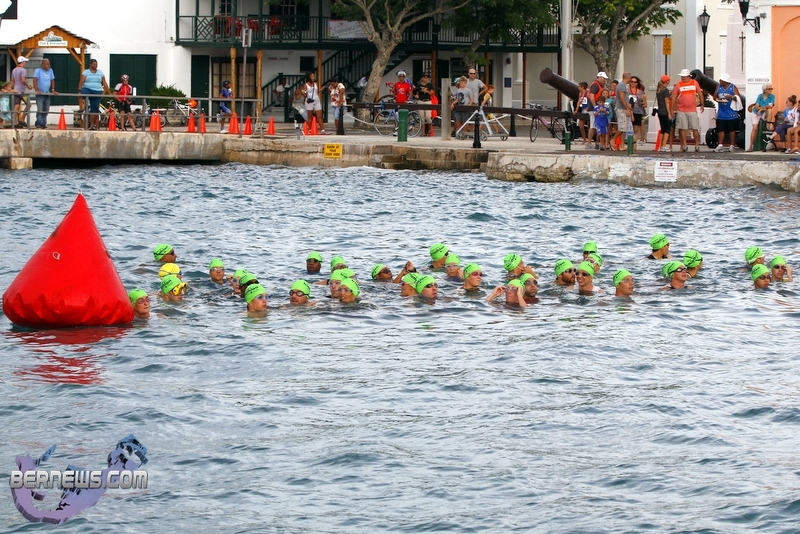 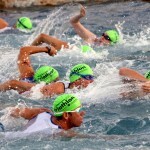 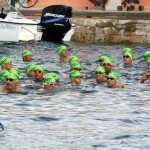 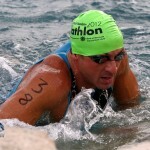 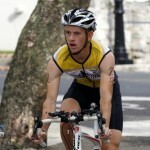 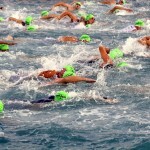 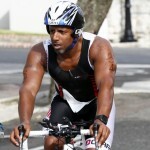 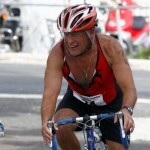 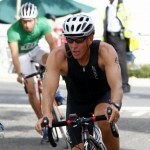 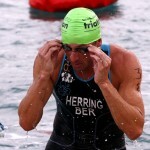 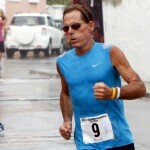 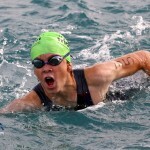 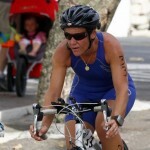 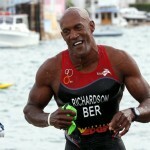 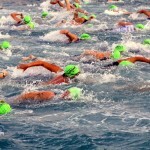 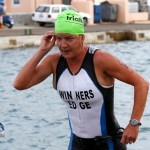 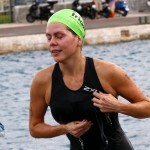 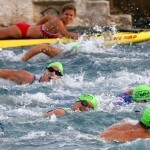 Herring was clocked across the line in a time of 1:01:51, while Karen Smith finished 6th overall with a time of 1:07:55. 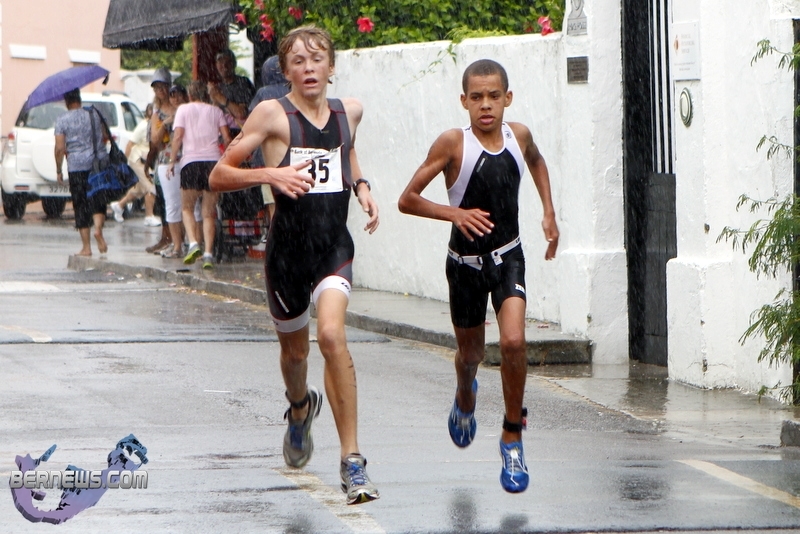 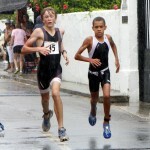 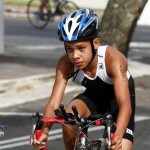 In the Juniors 7 – 10 category Nicholas Pilgrim placed 1st in 16:26, and in the Juniors 11 – 15 Alex Pilgrim won in 29:33:00. 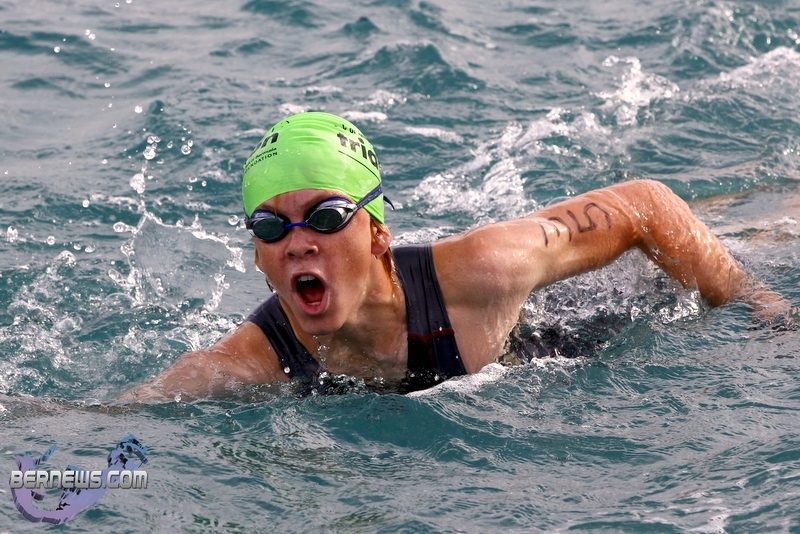 The full results of the Adult and Junior races are here.